Name: Triple sheared (tSH-tHS-tHS) no inserted bases | Double sheared with wobble cWW. | Double sheared with wobble cWW. 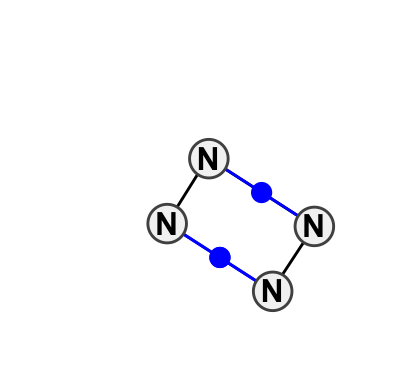 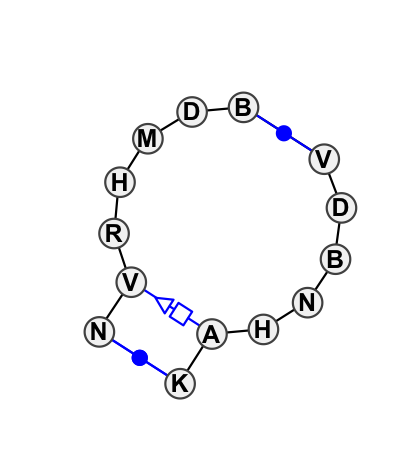 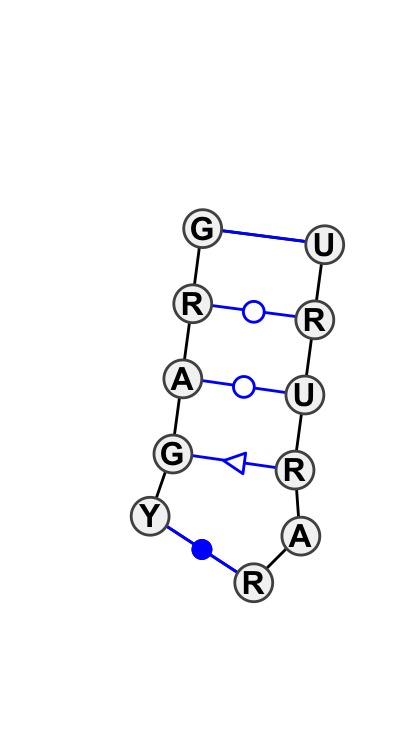 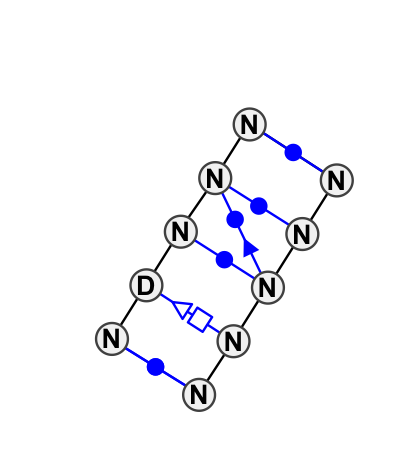 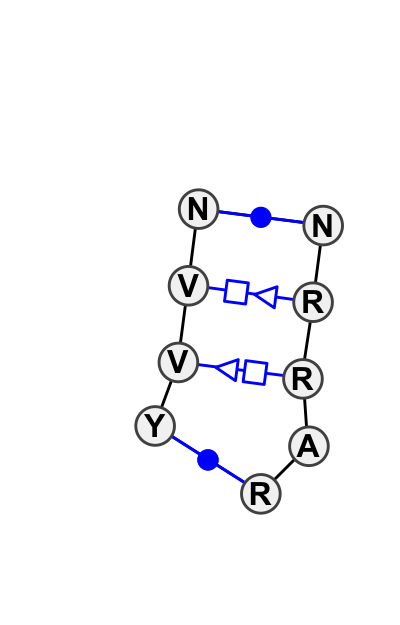 Name: Non-canonical cWW with inserted stacked base. 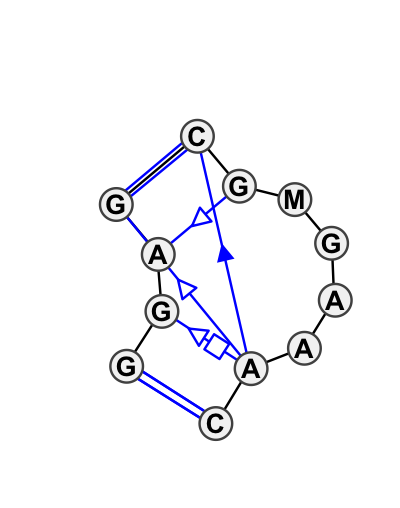 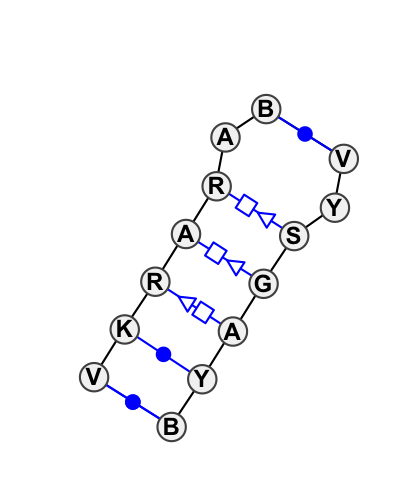 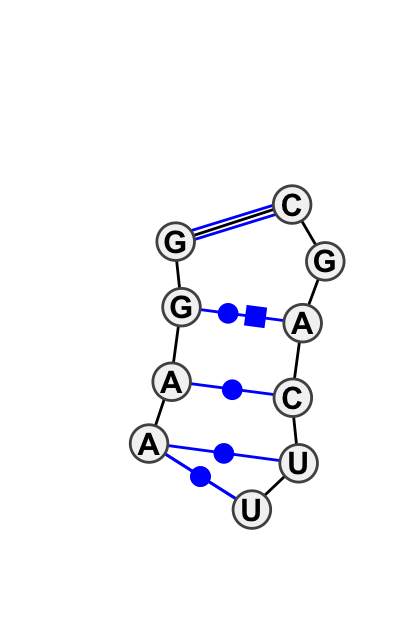 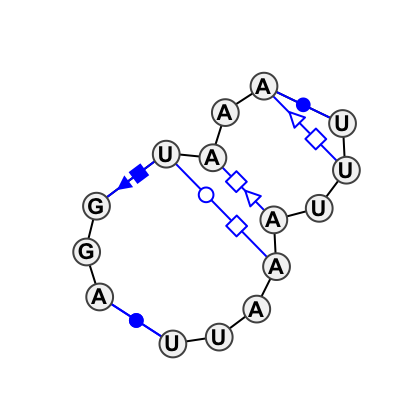 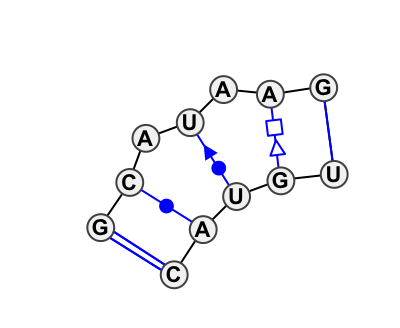 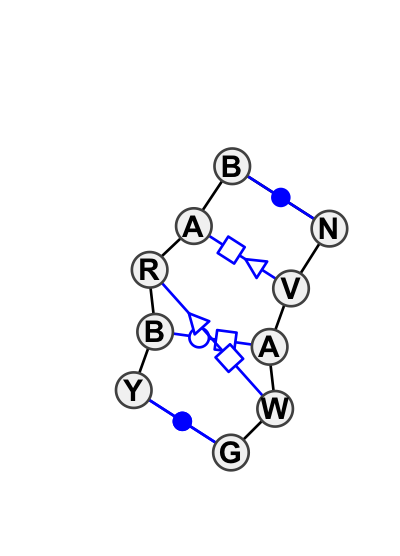 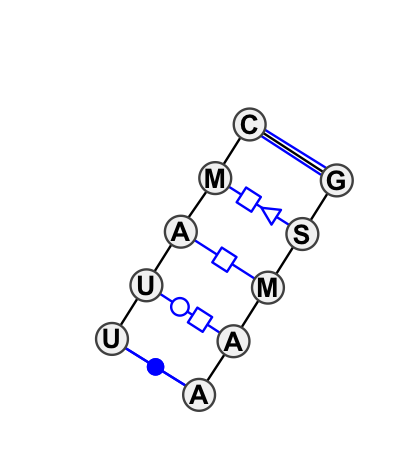 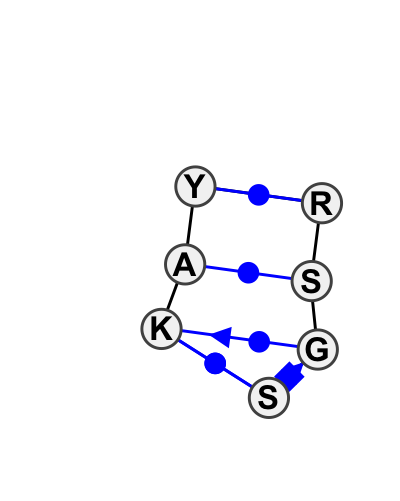 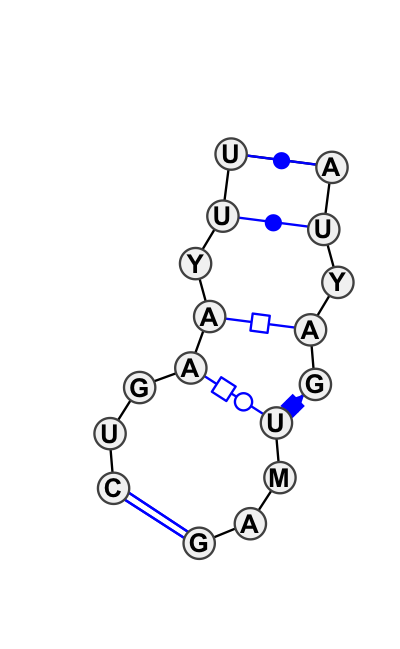 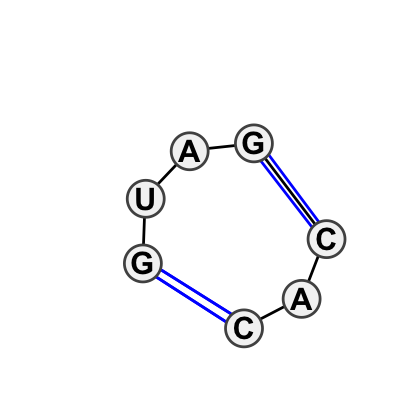 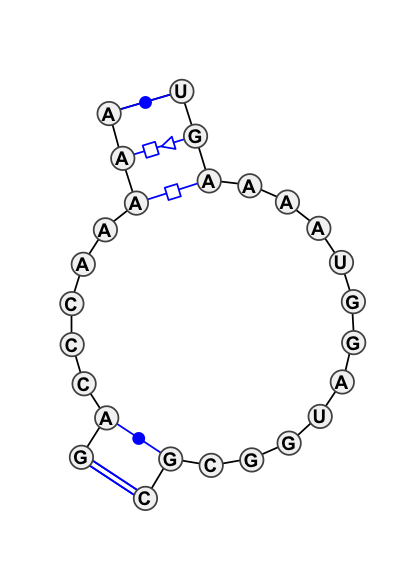 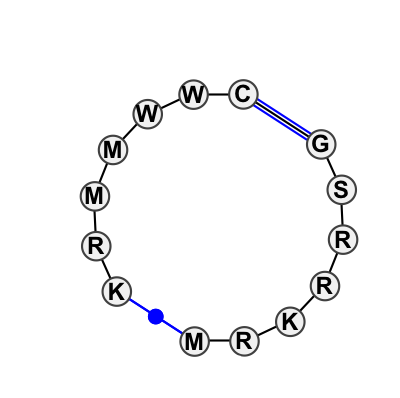 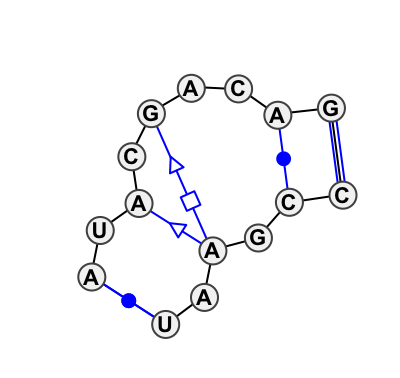 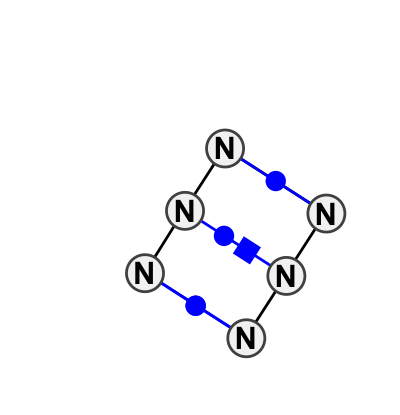 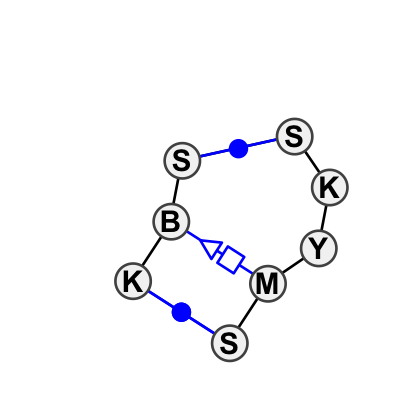 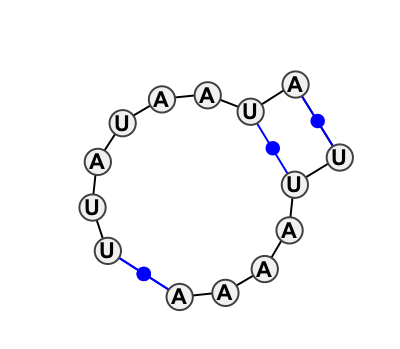 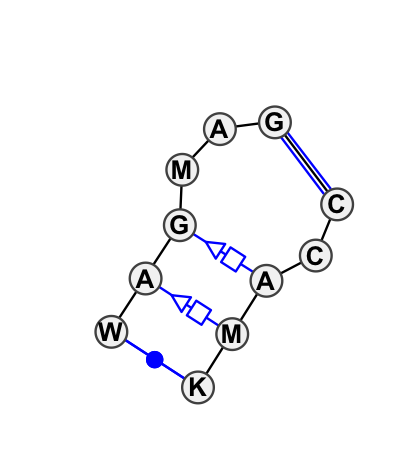 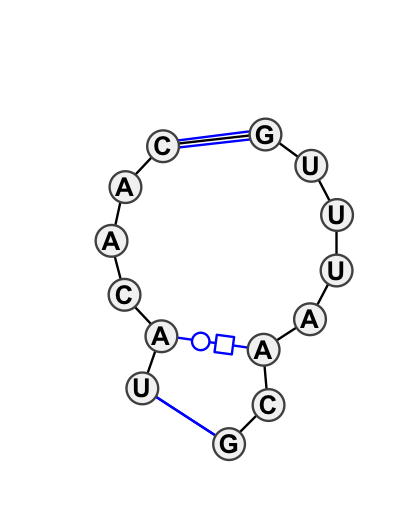 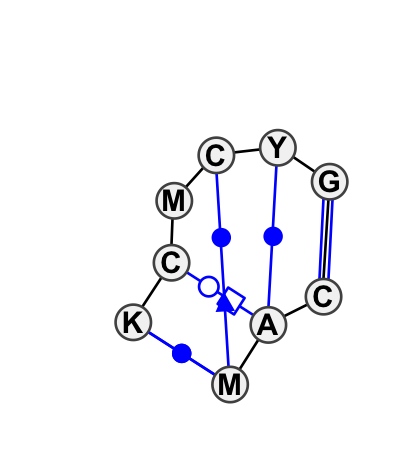 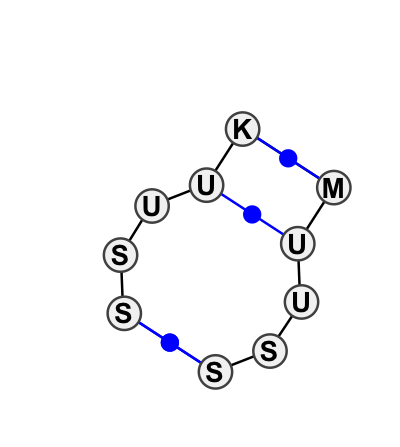 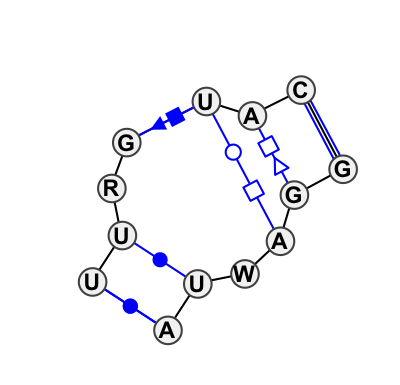 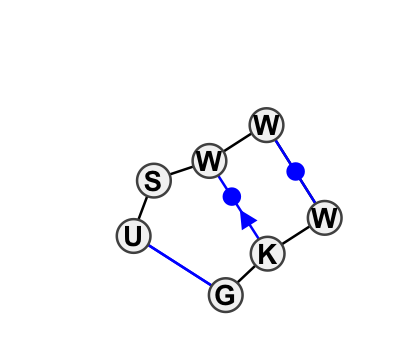 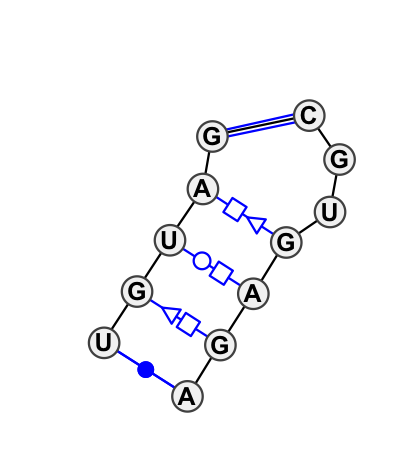 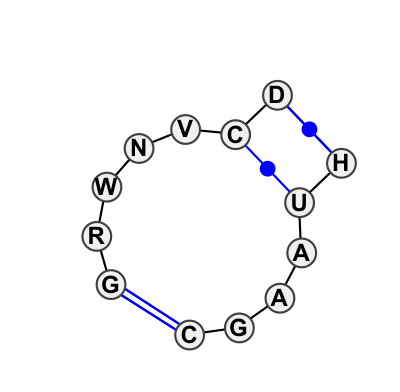 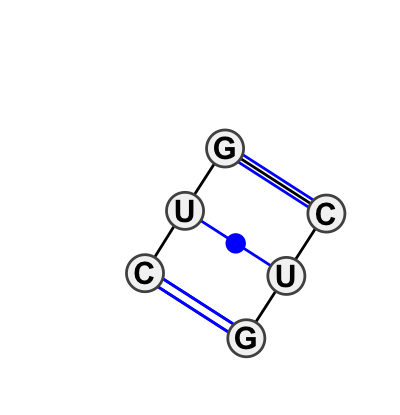 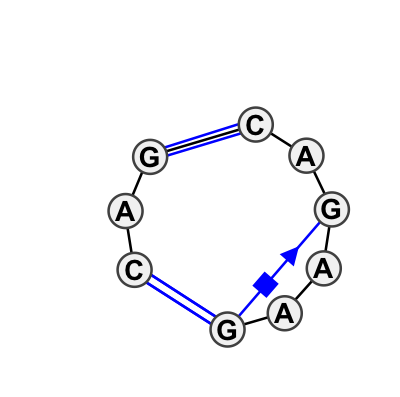 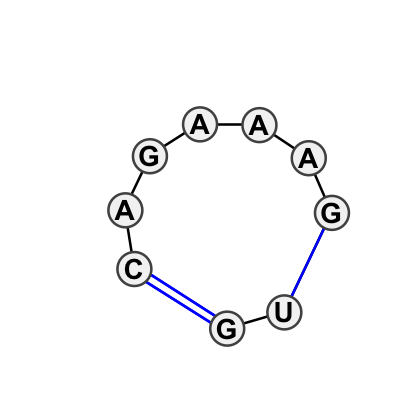 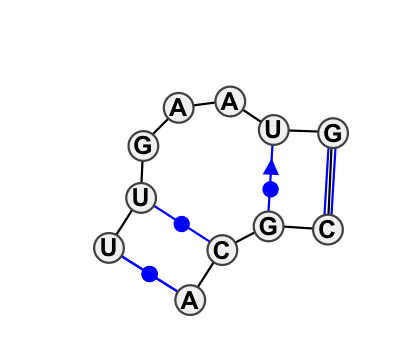 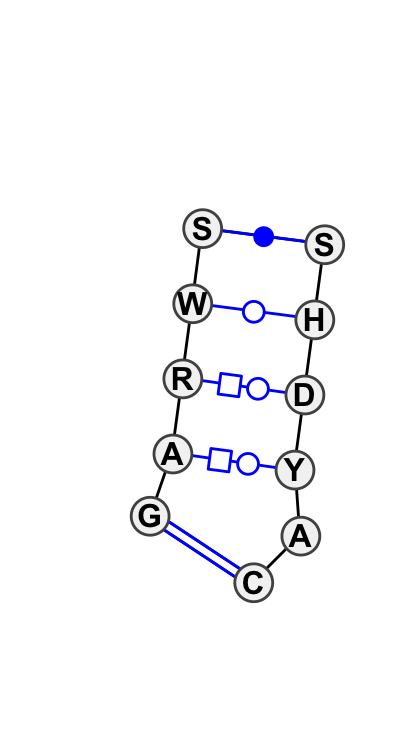 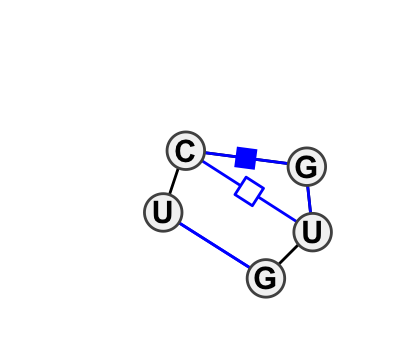 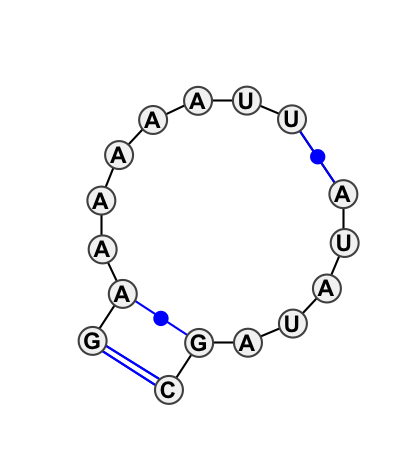 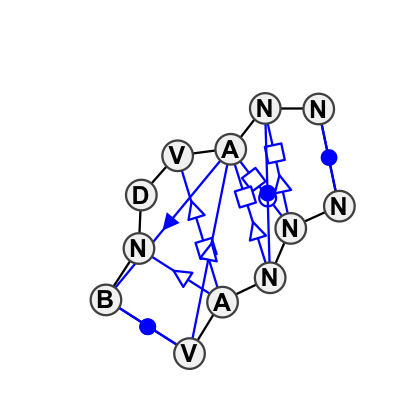 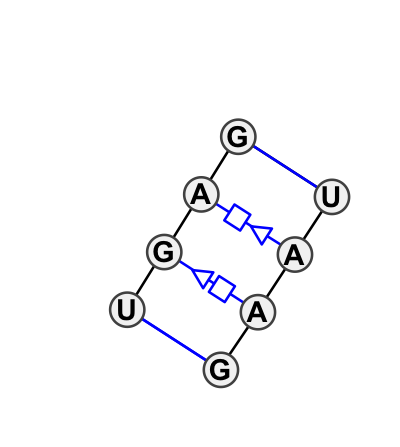 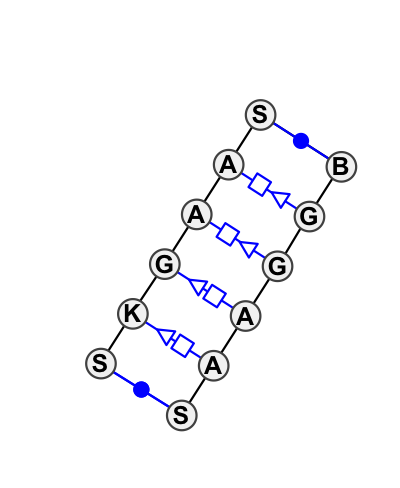 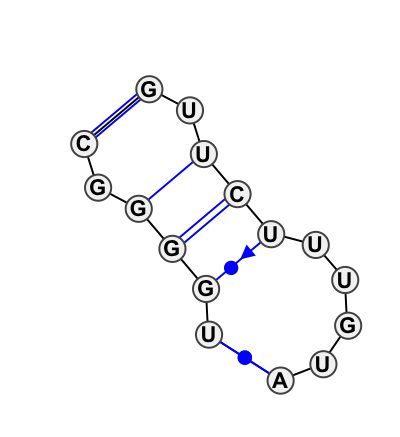 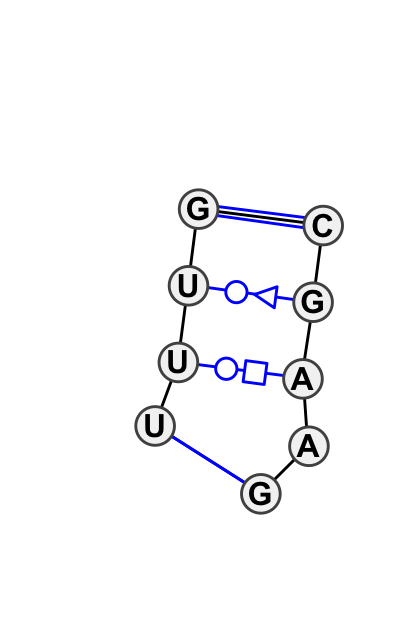 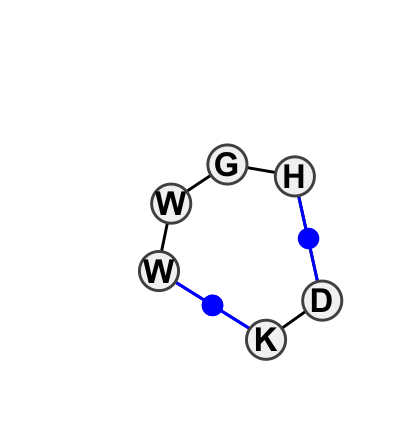 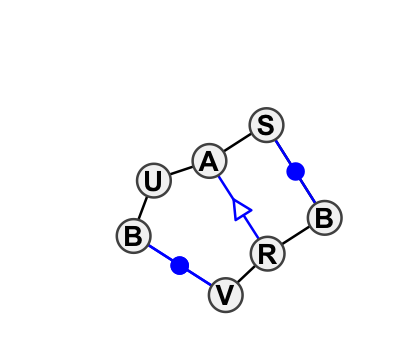 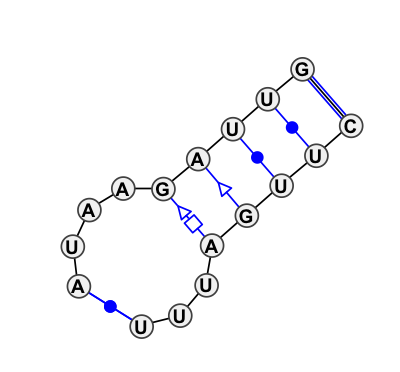 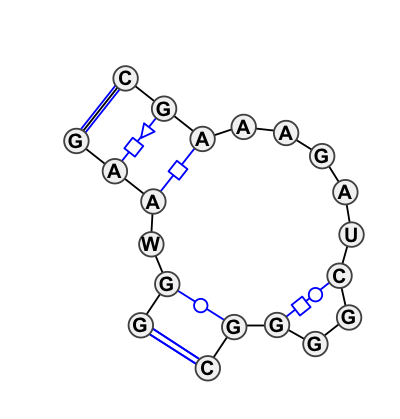 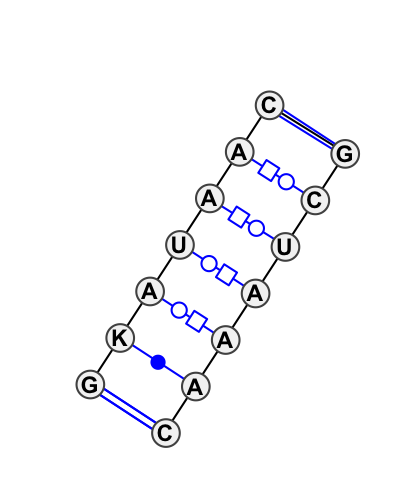 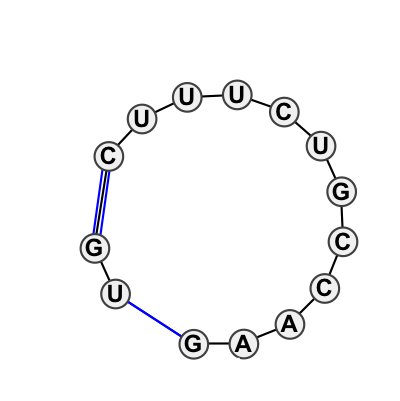 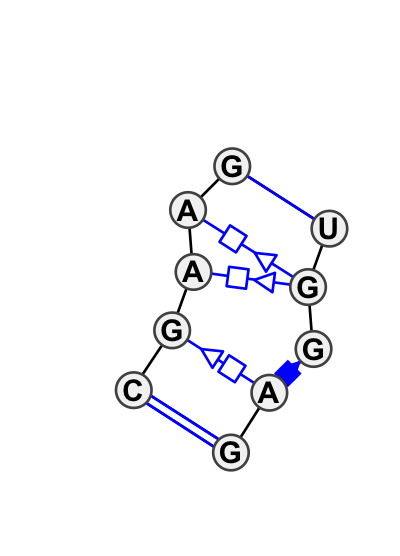 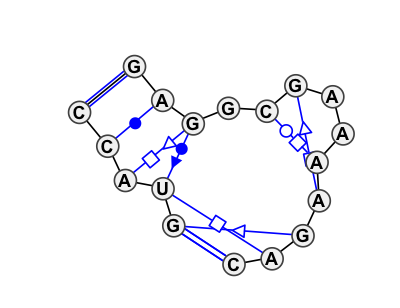 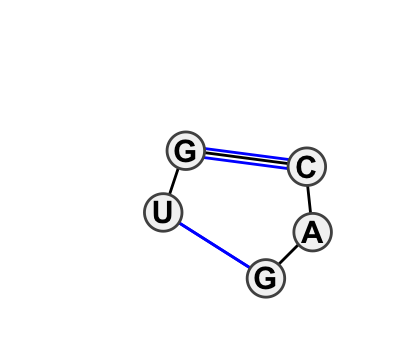 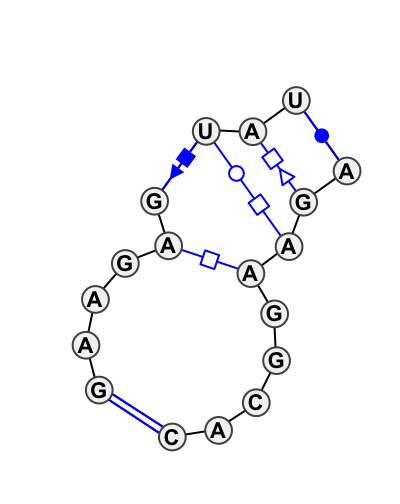 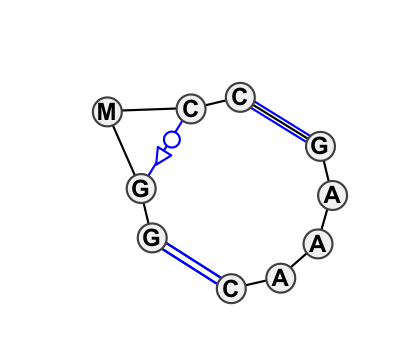 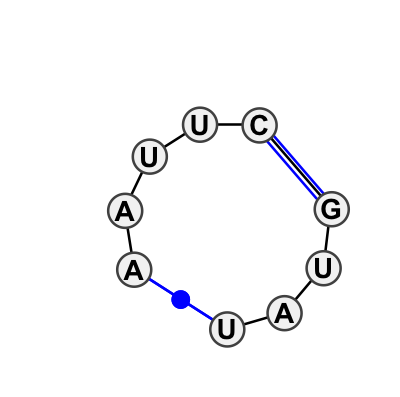 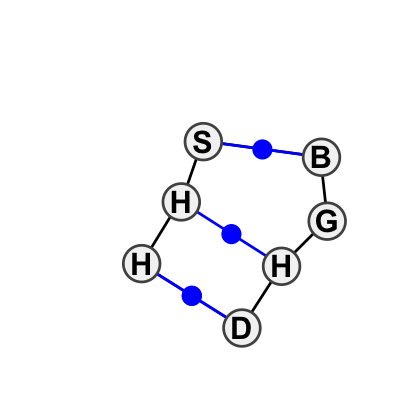 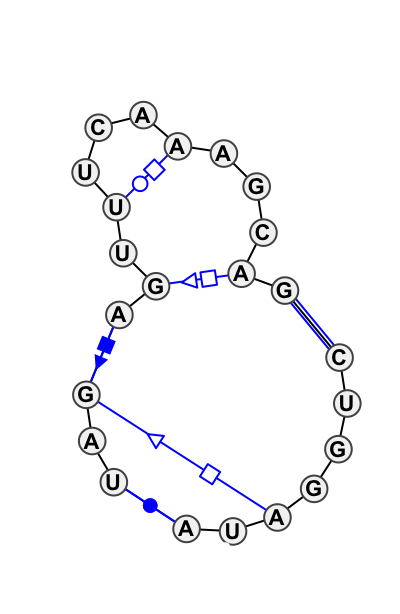 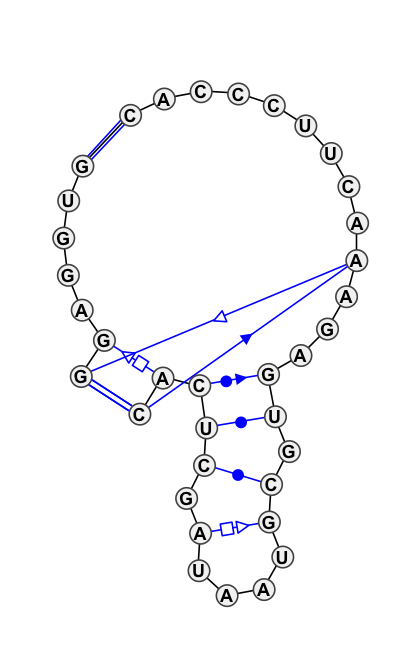 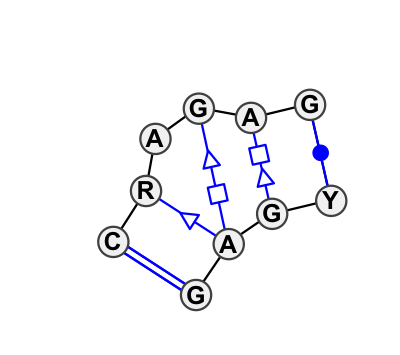 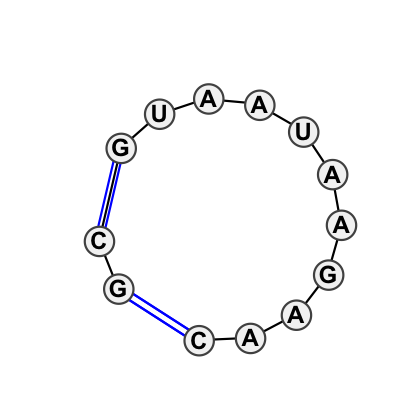 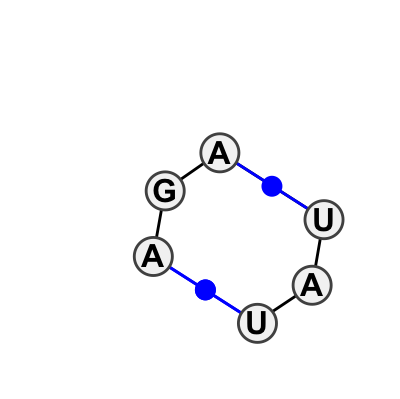 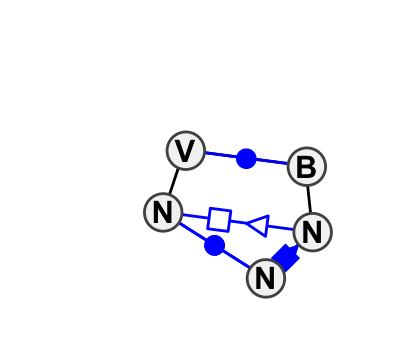 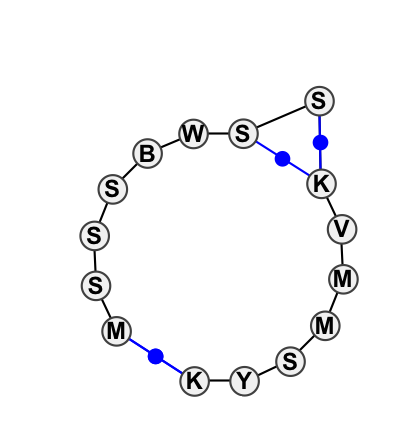 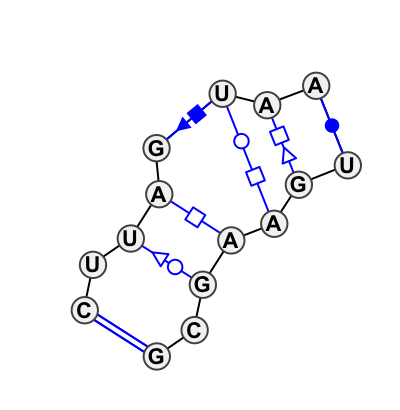 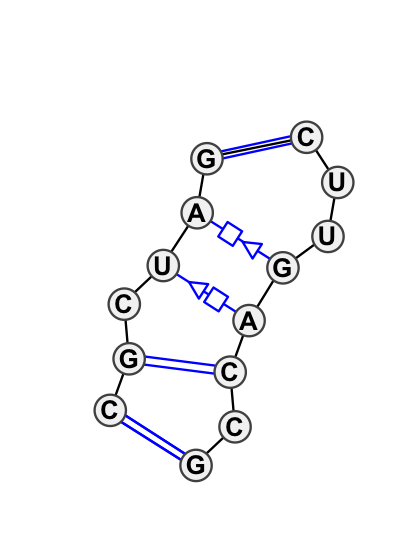 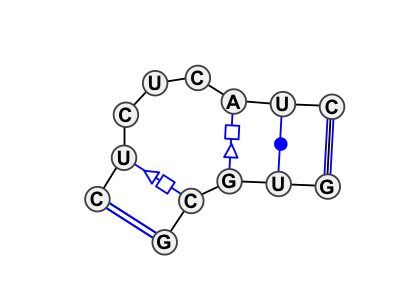 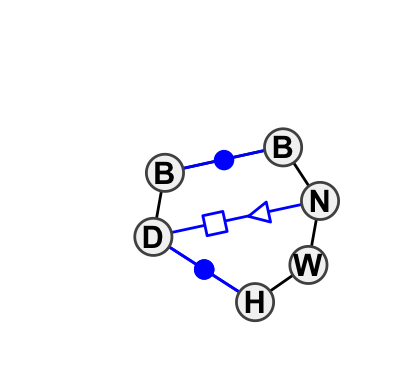 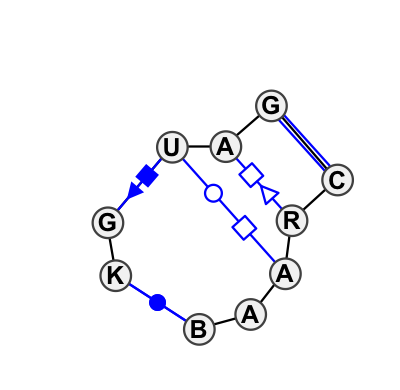 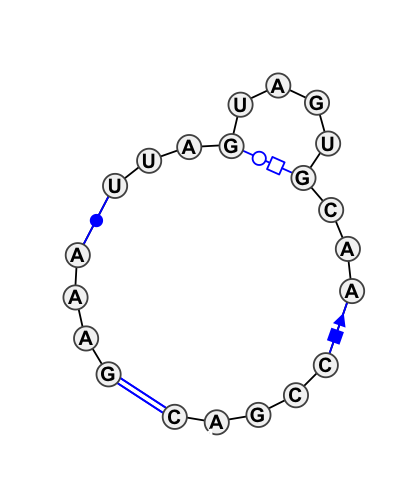 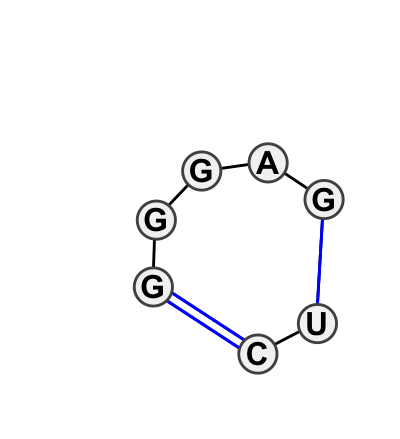 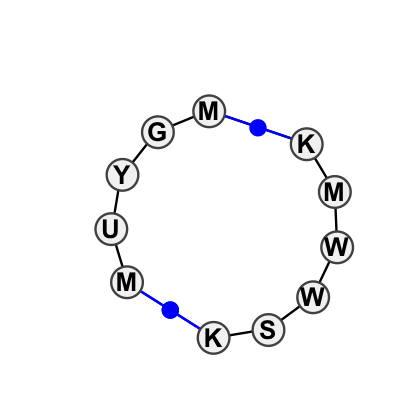 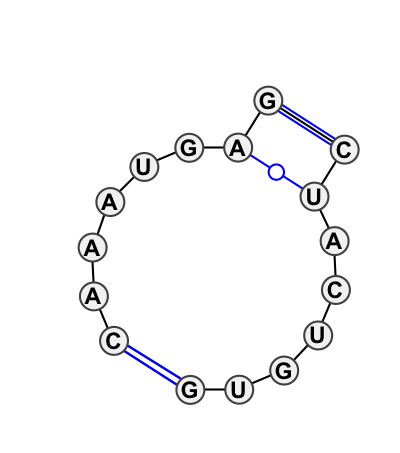 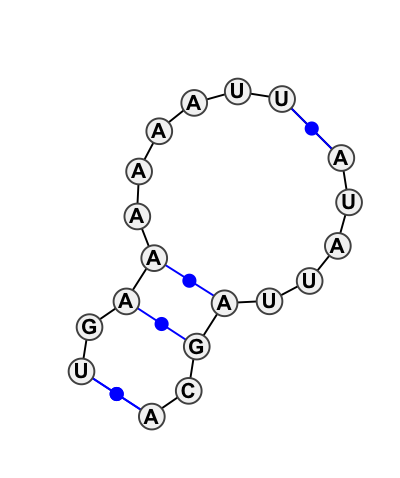 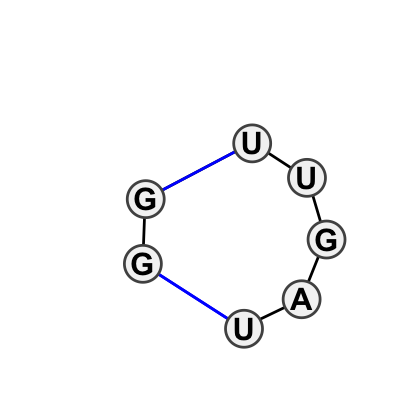 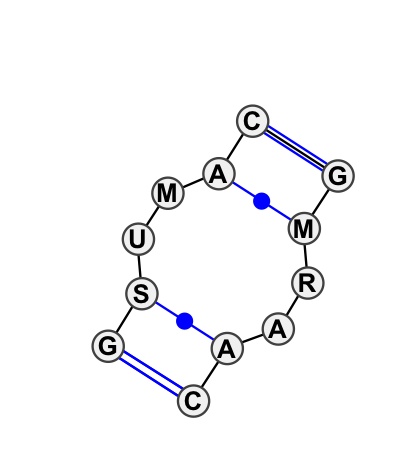 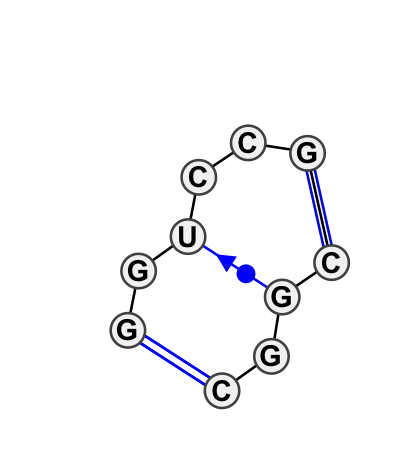 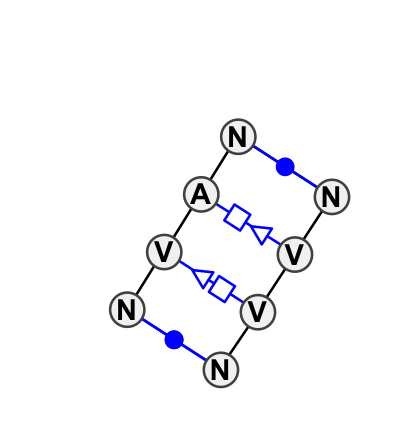 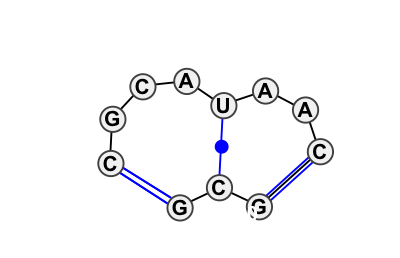 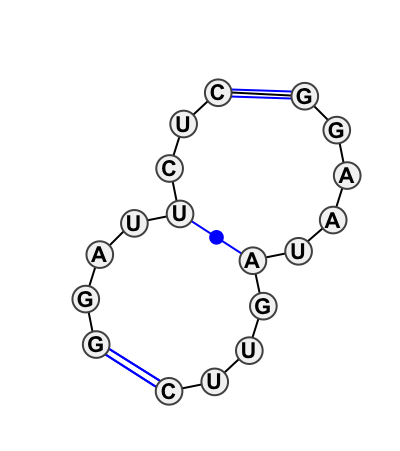 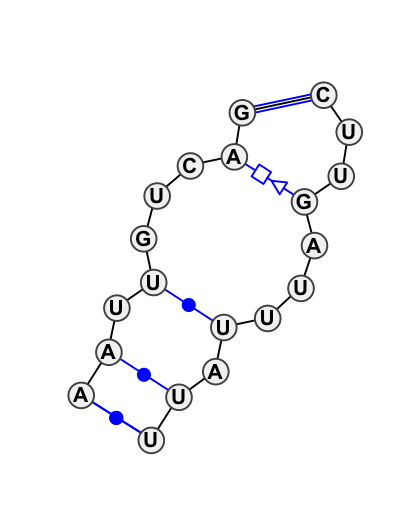 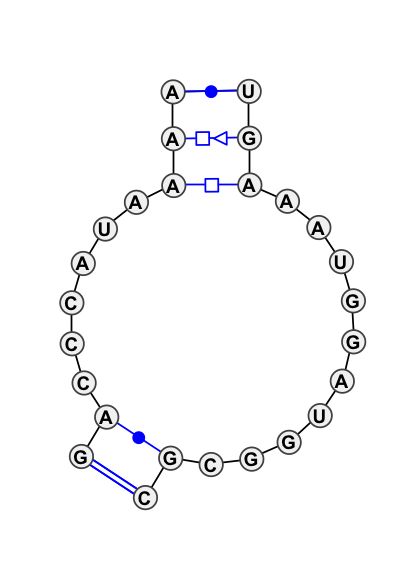 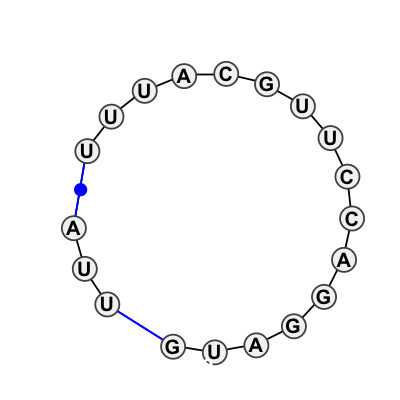 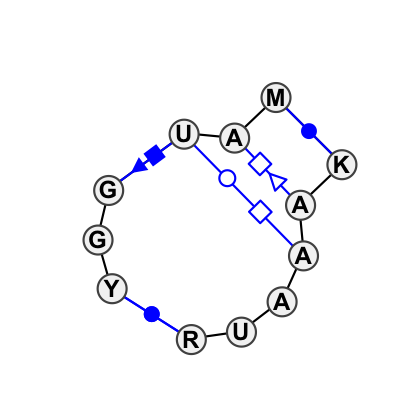 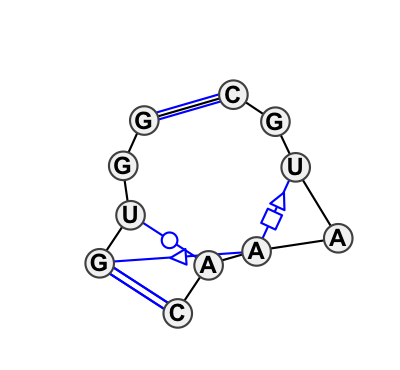 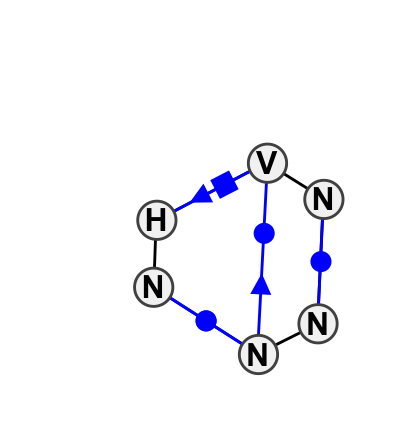 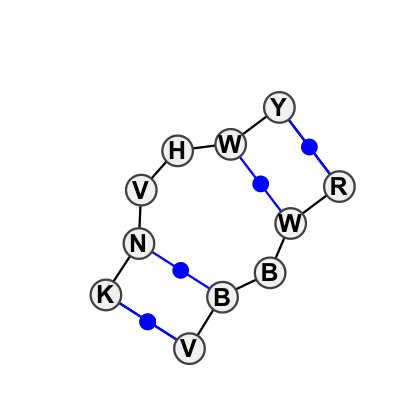 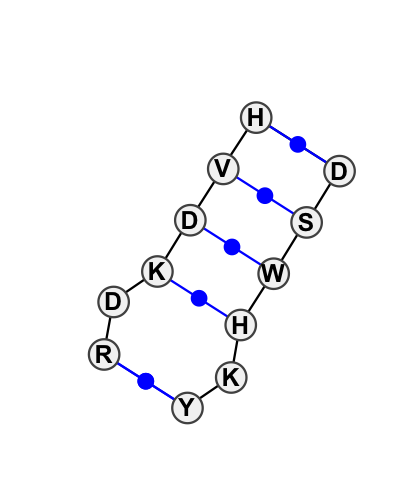 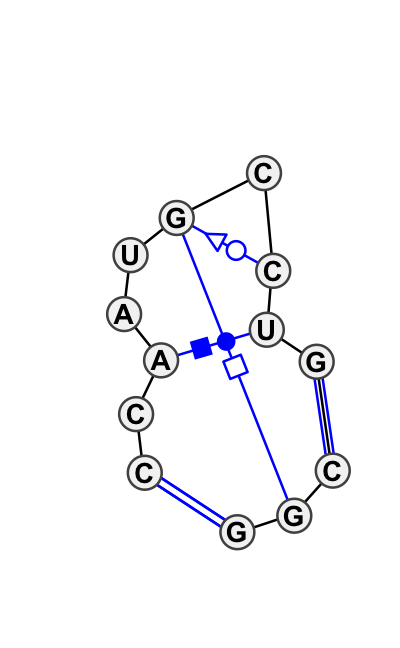 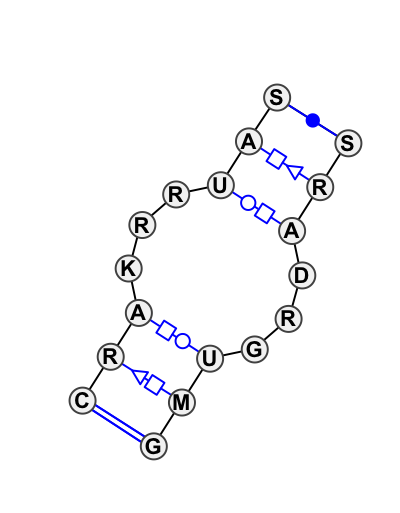 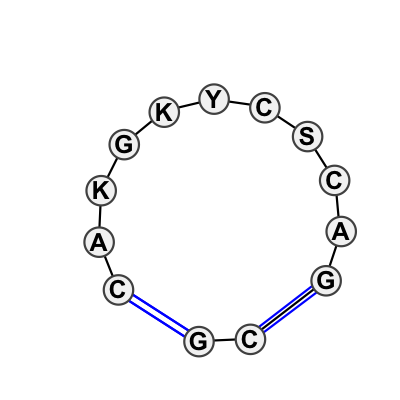 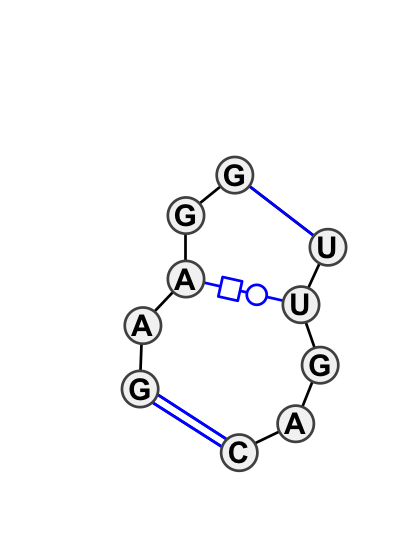 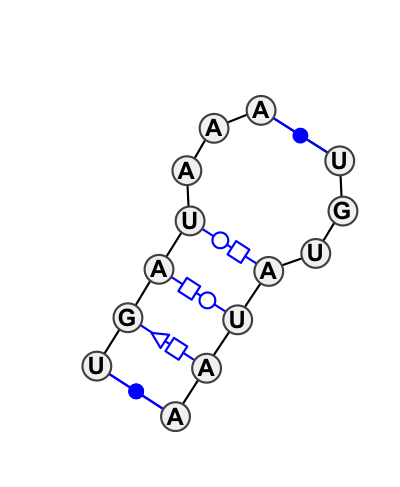 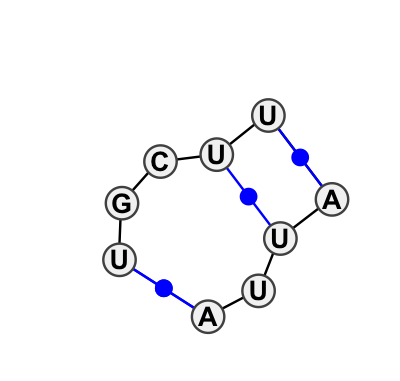 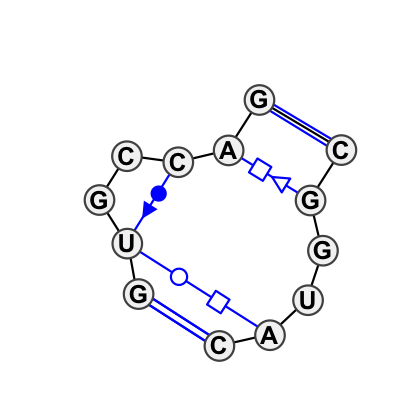 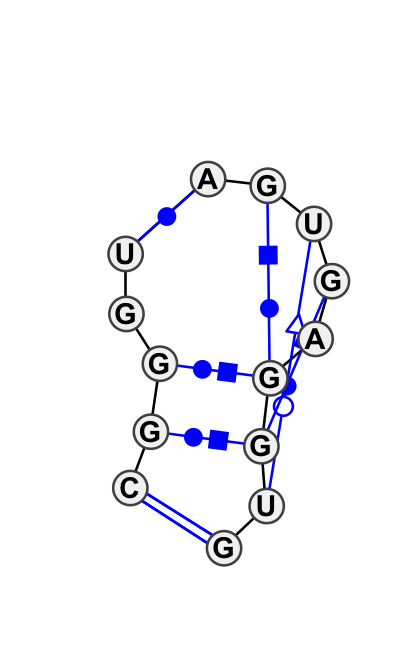 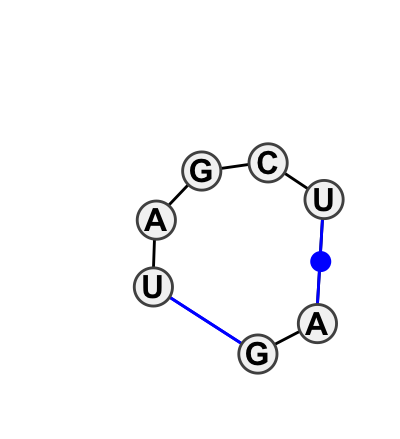 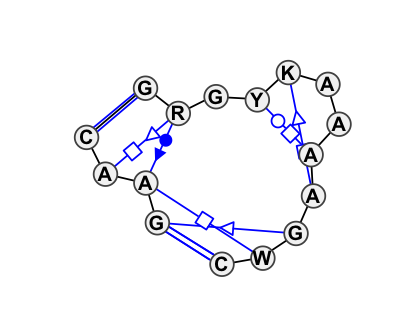 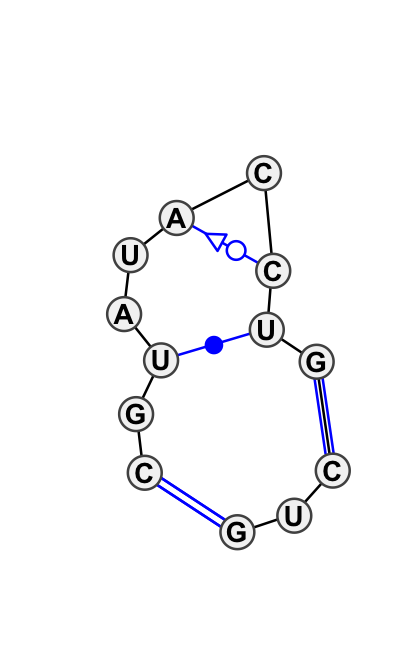 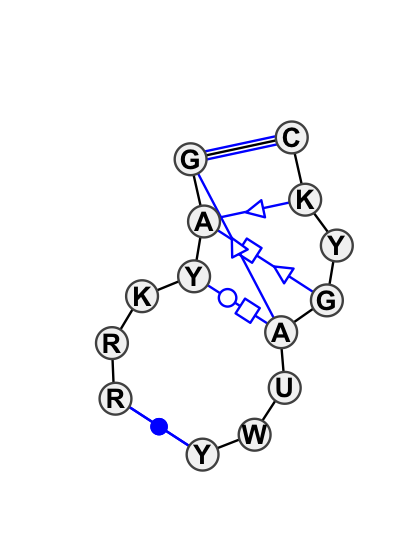 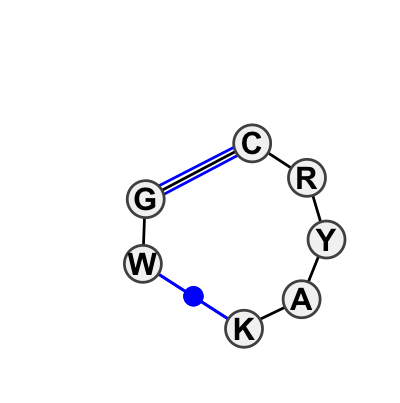 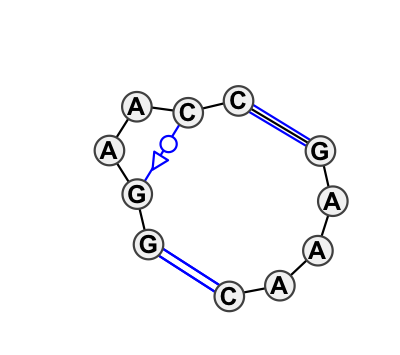 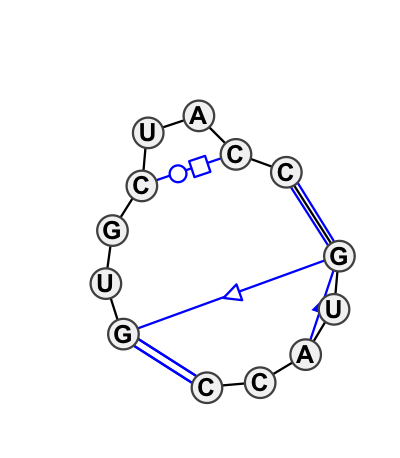 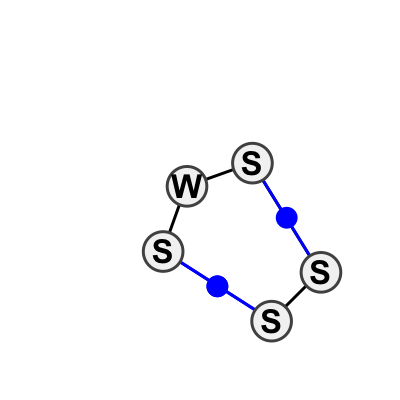 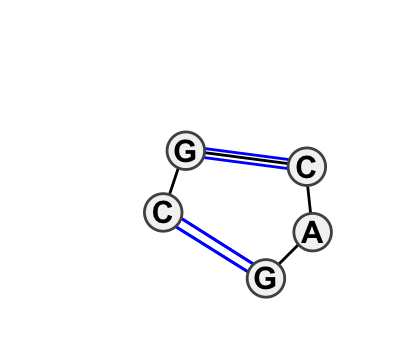 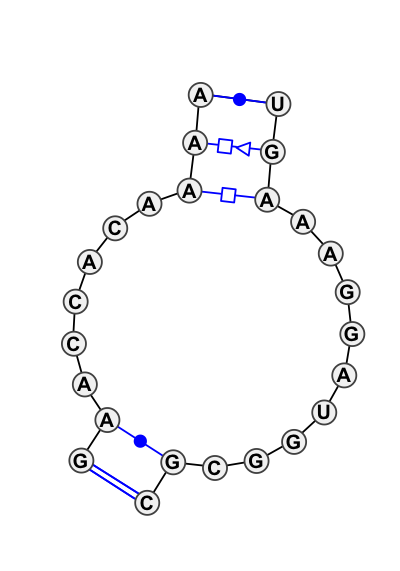 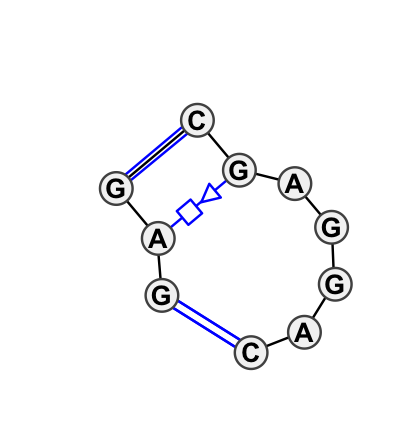 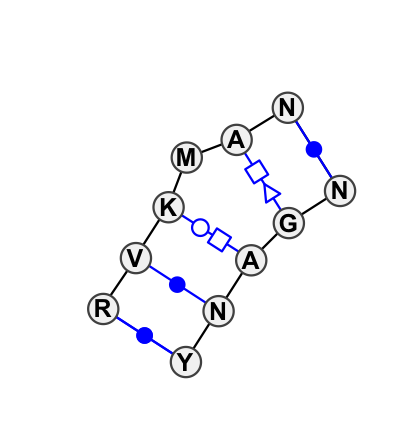 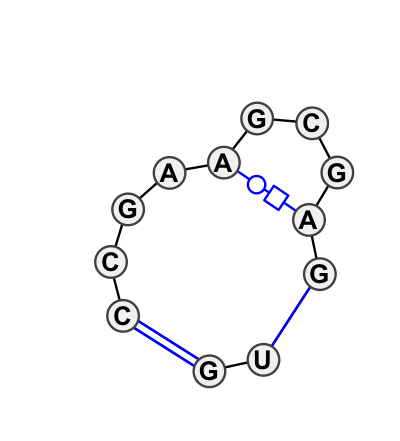 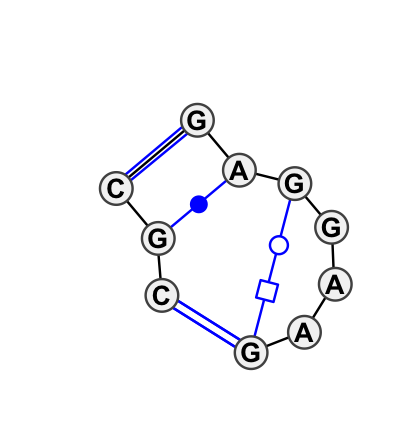 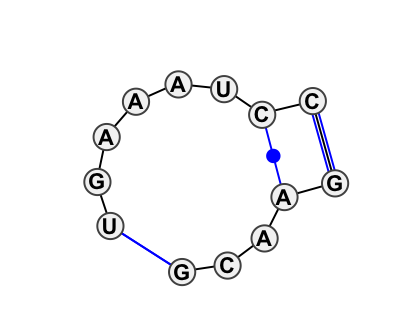 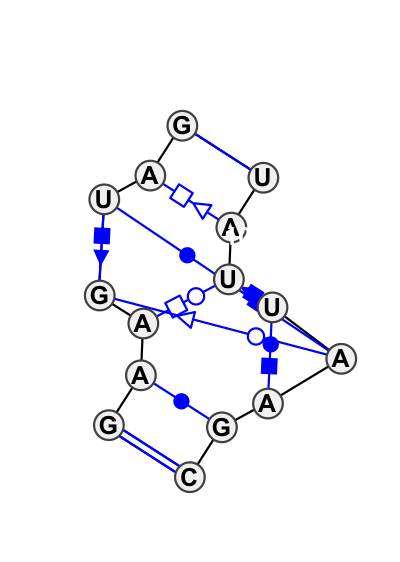 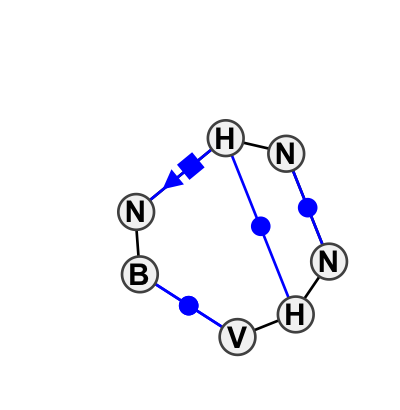 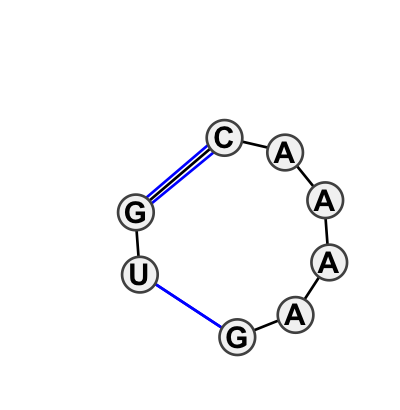 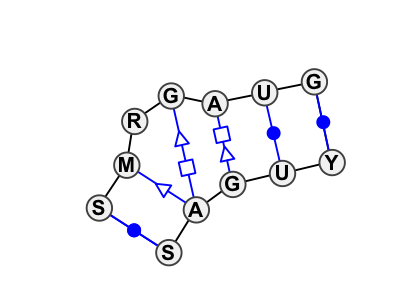 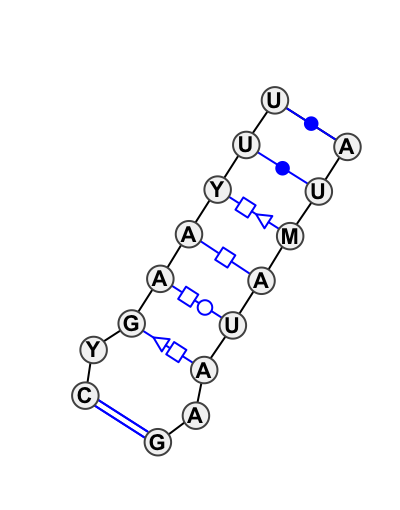 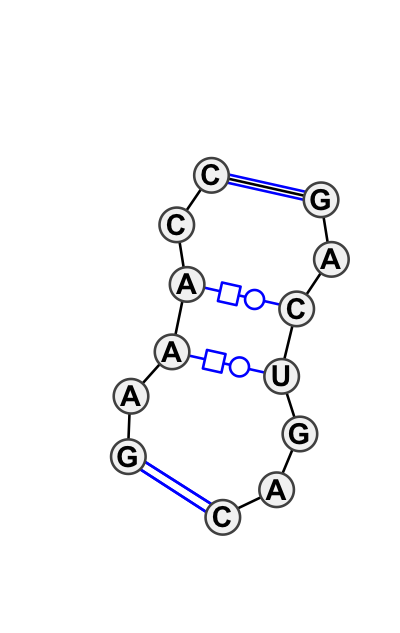 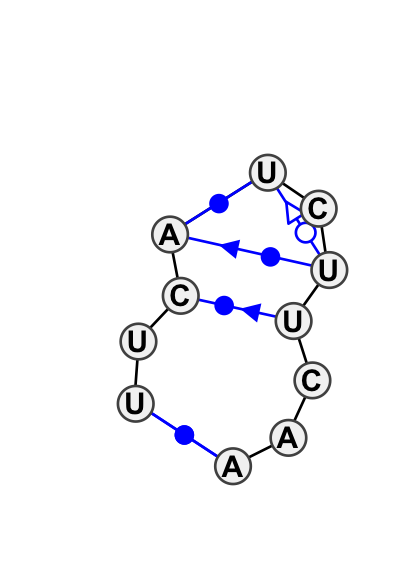 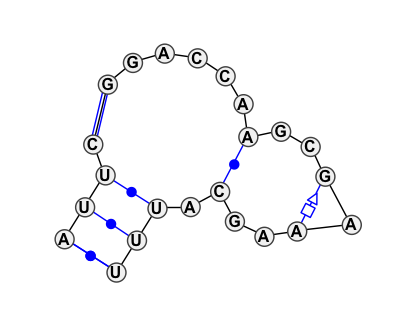 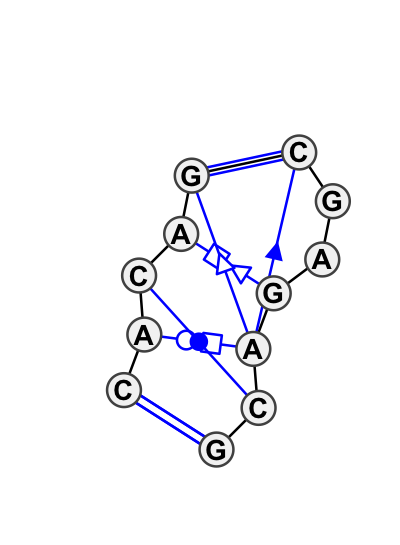 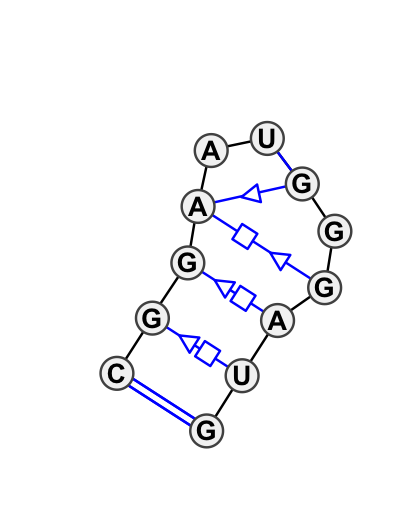 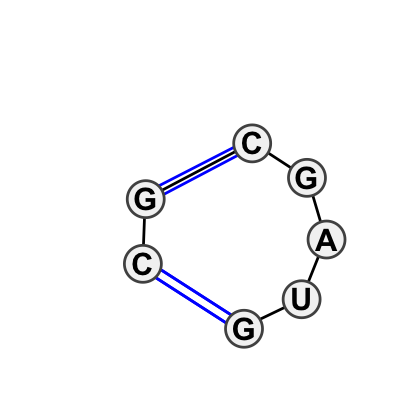 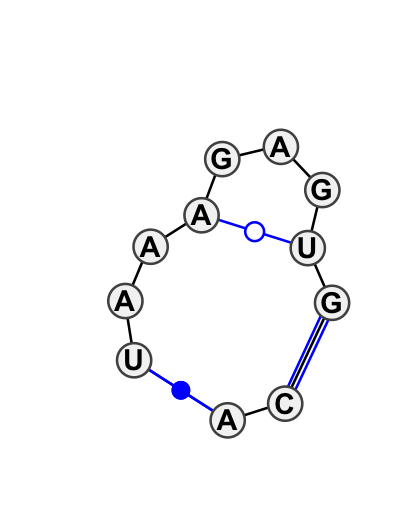 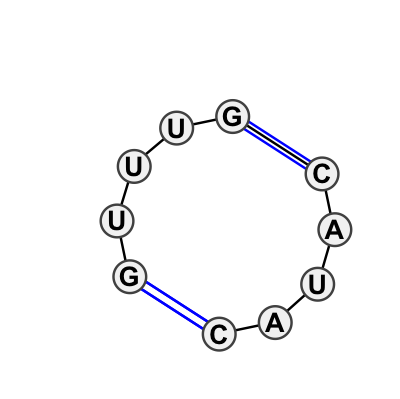 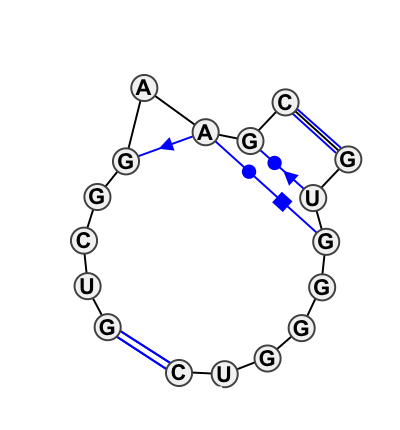 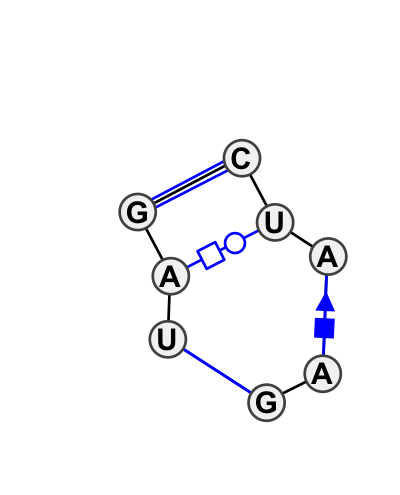 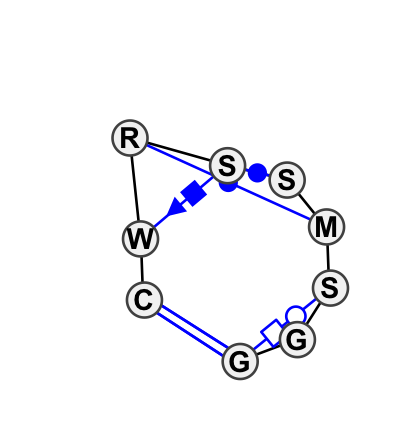 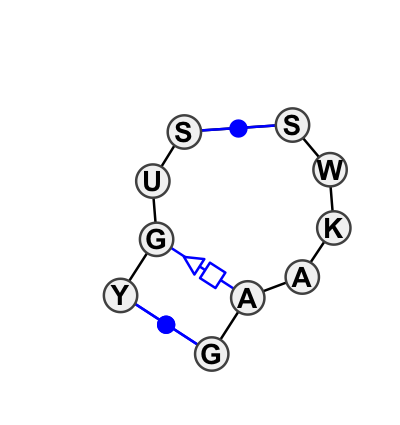 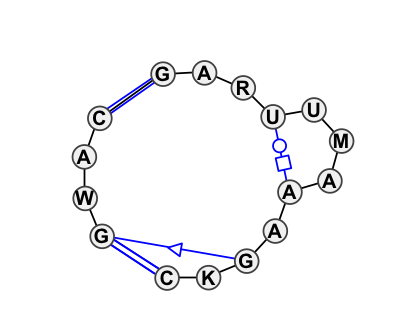 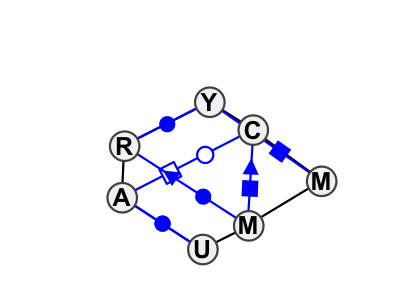 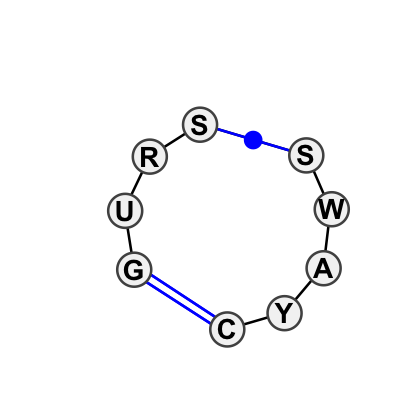 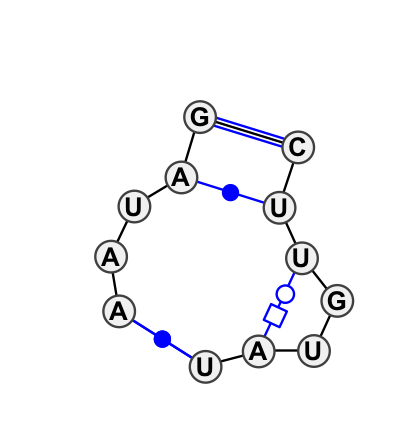 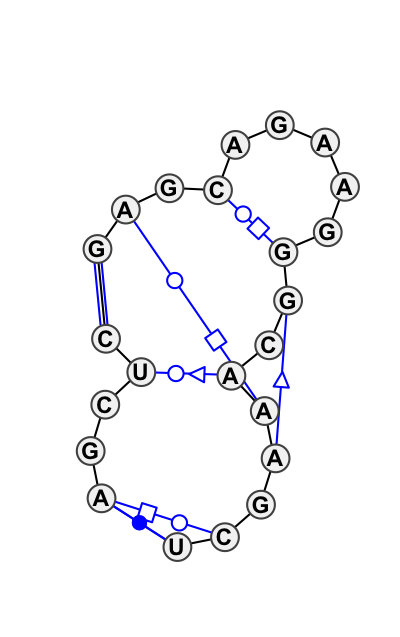 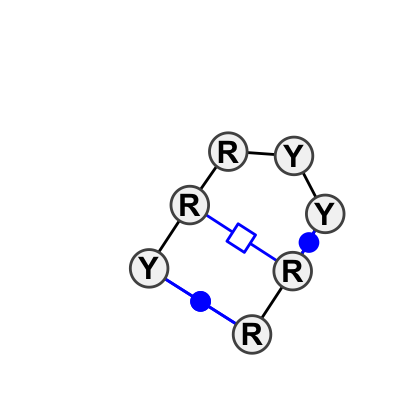 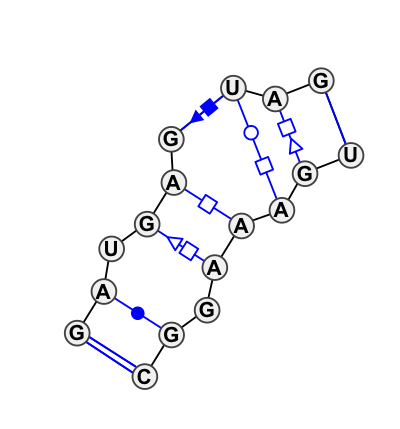 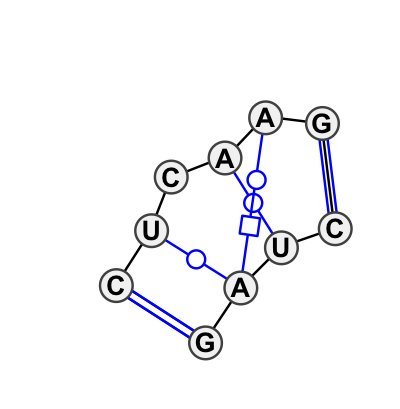 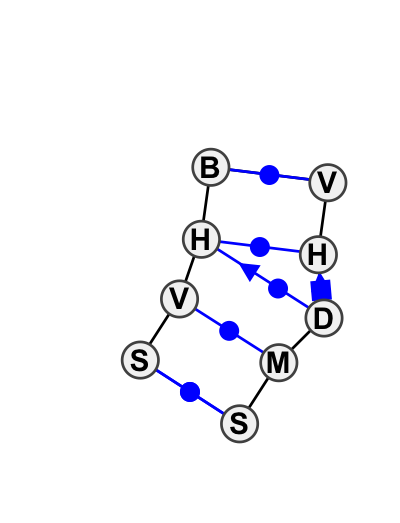 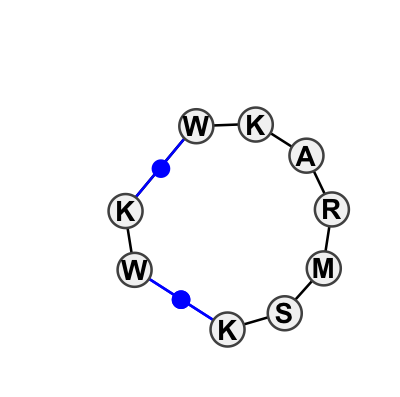 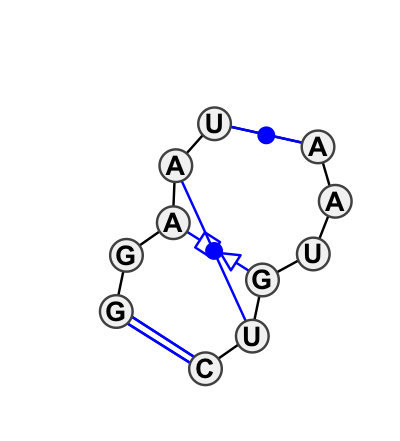 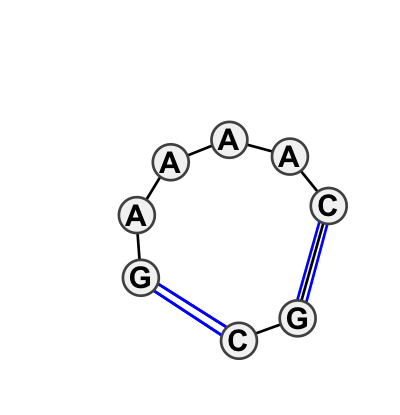 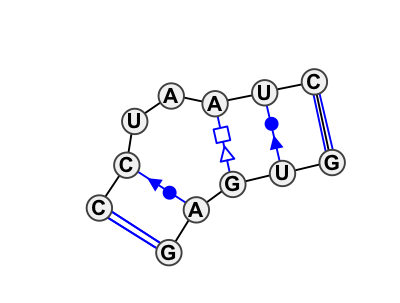 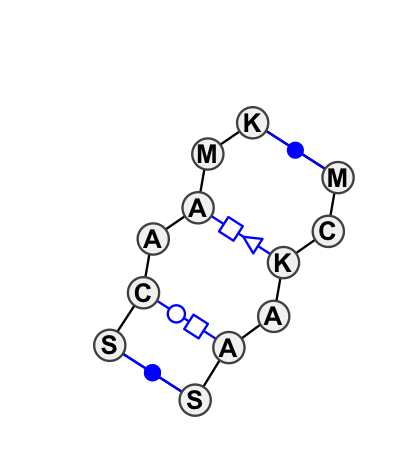 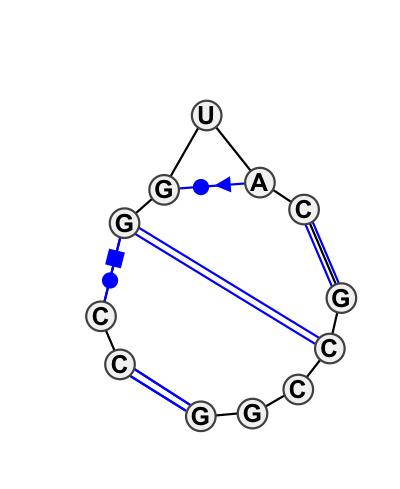 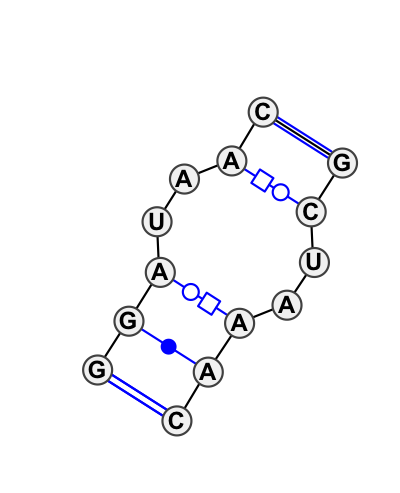 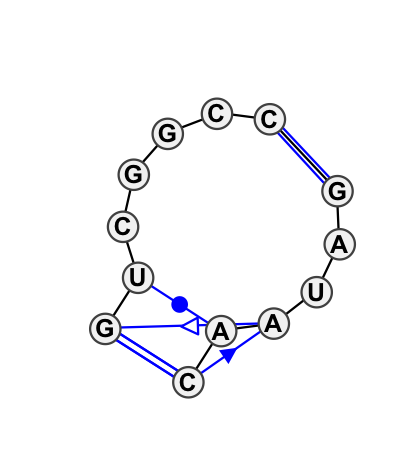 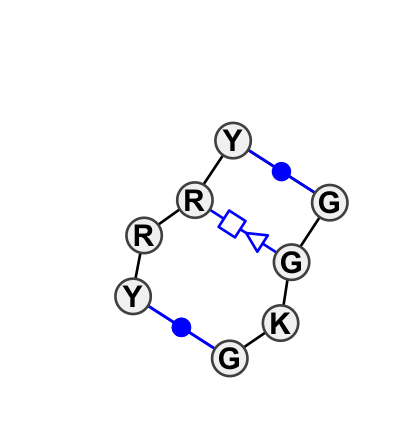 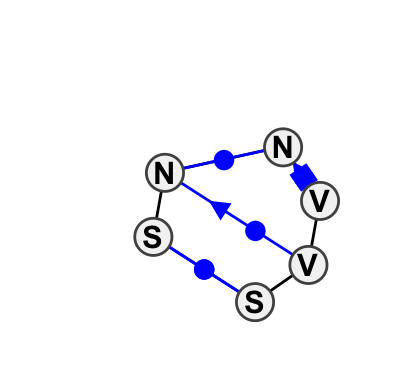 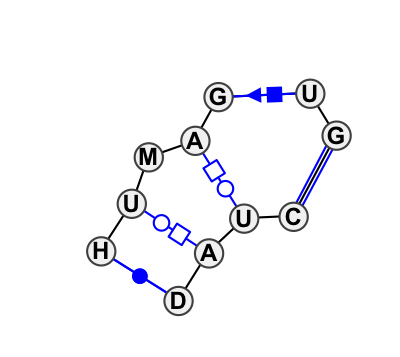 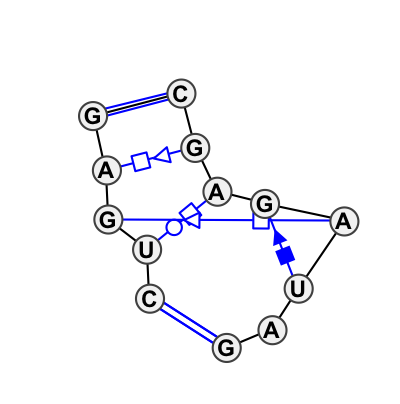 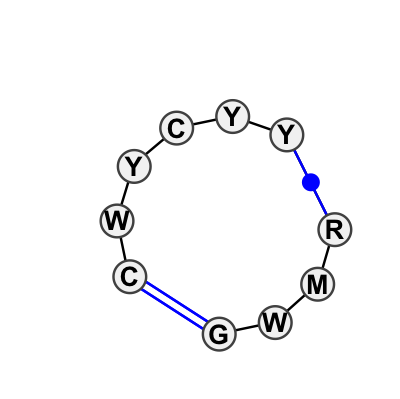 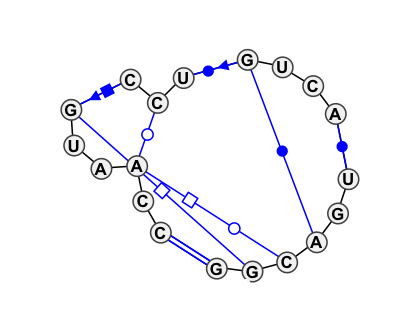 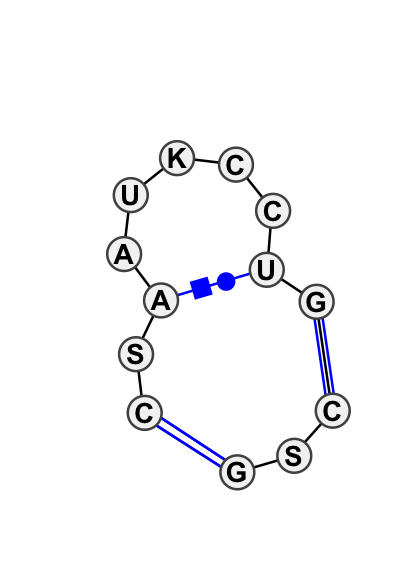 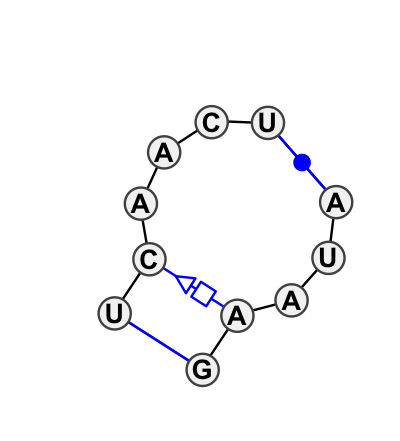 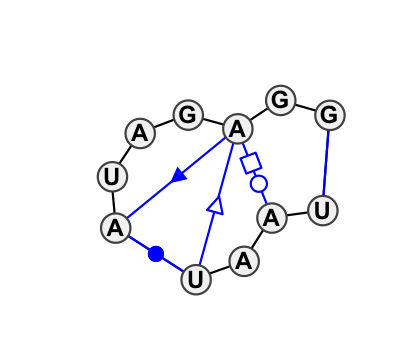 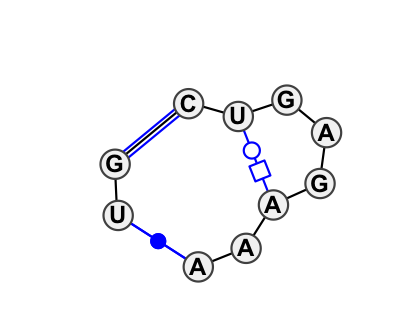 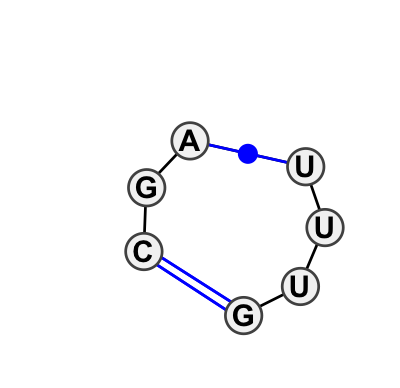 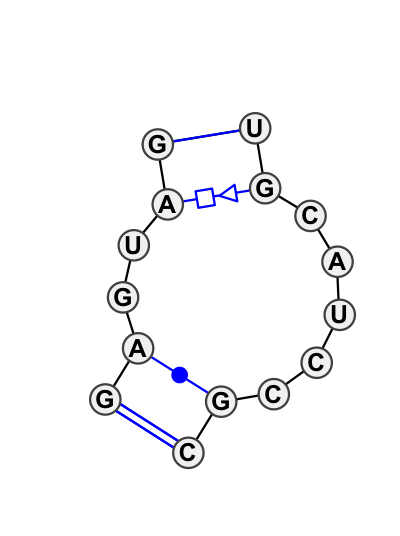 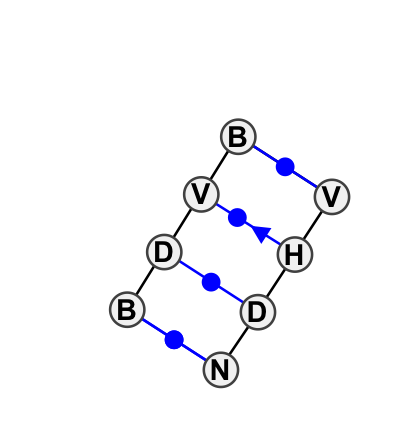 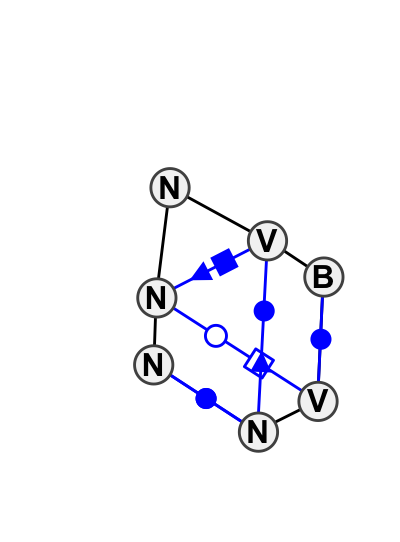 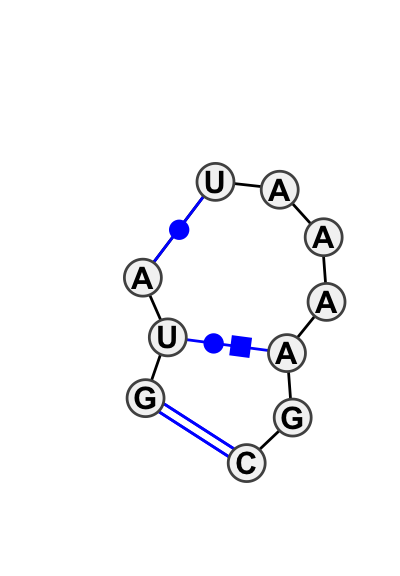 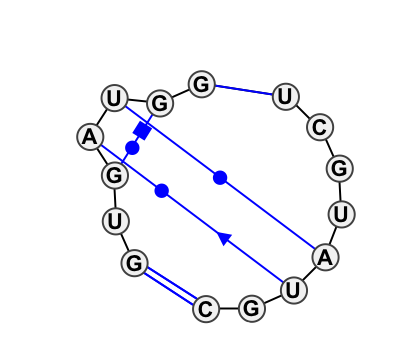 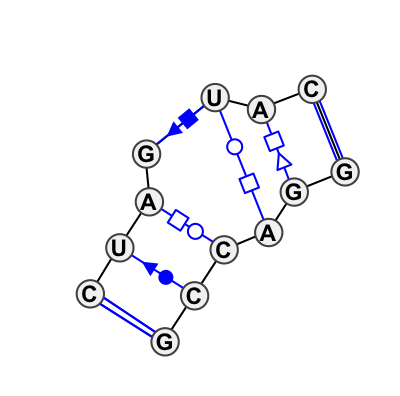 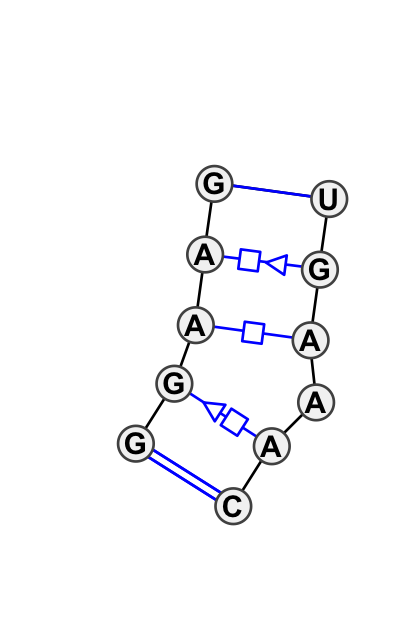 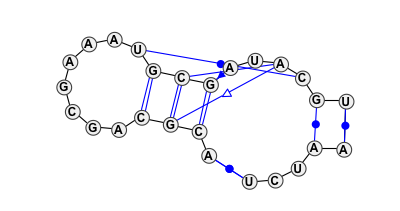 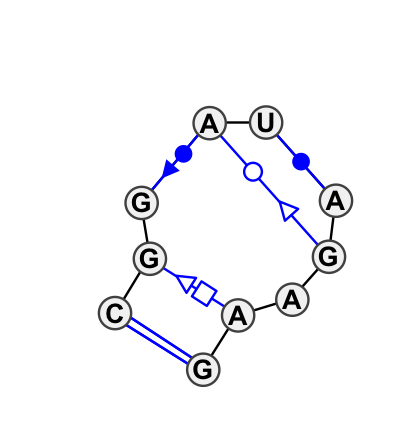 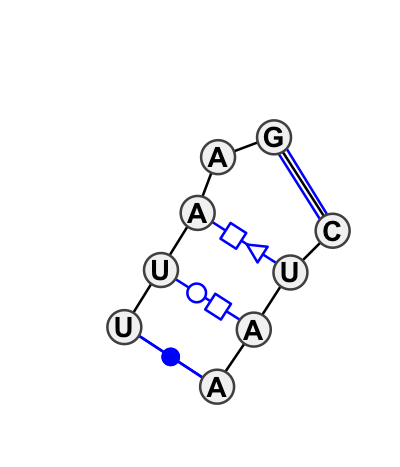 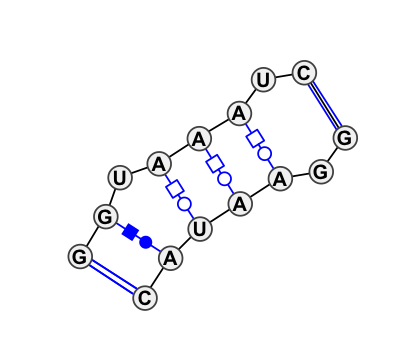 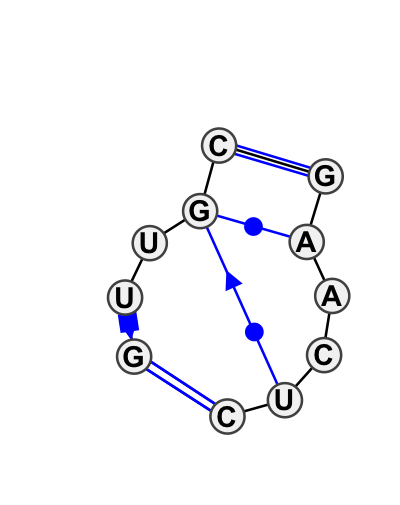 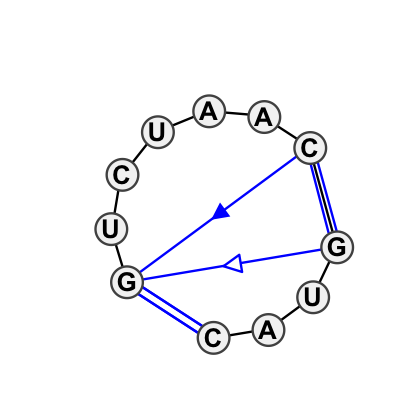 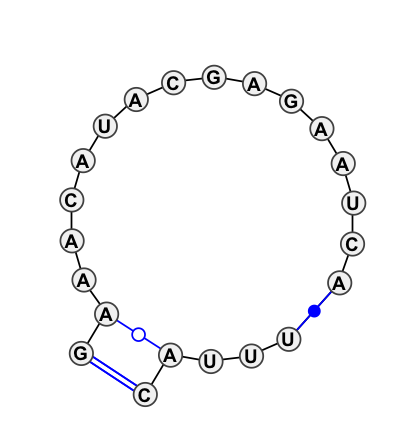 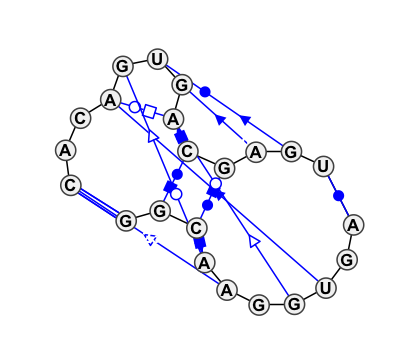 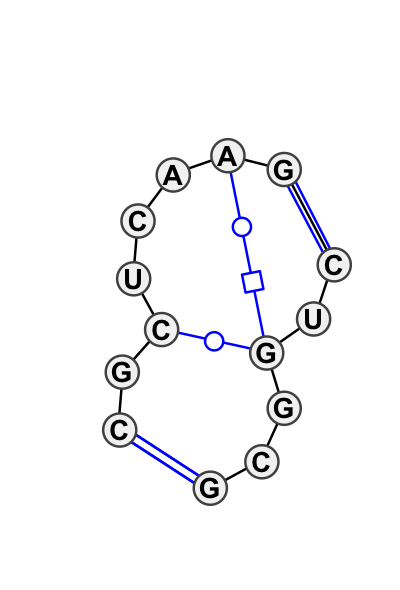 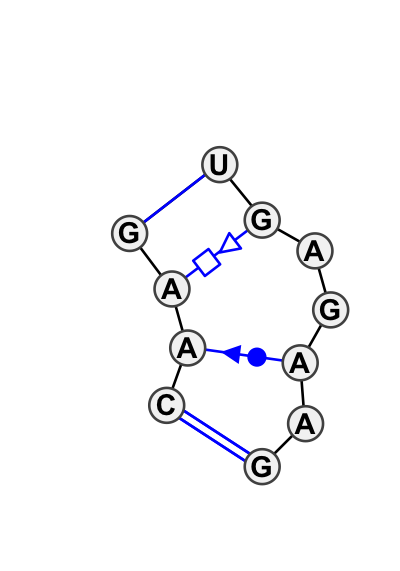 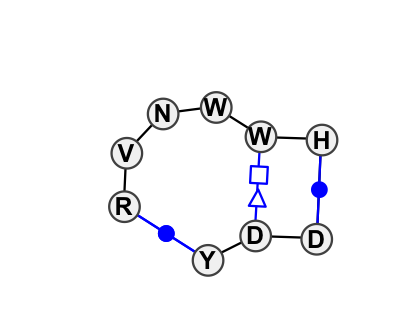 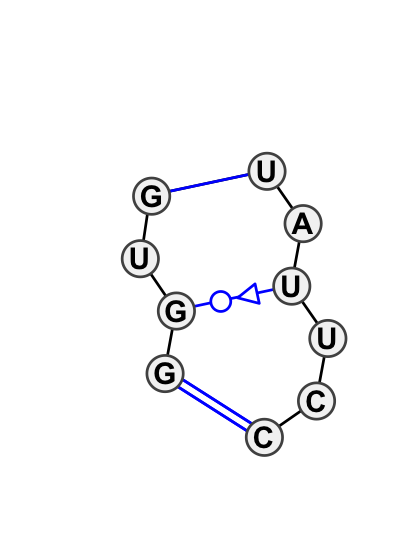 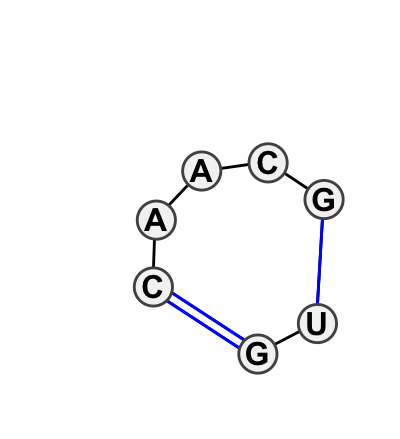 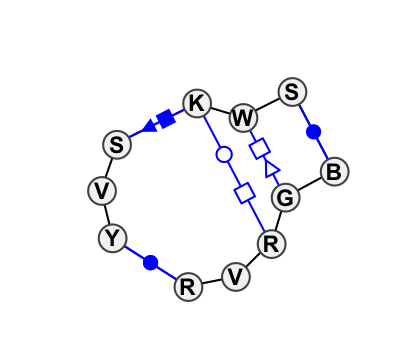 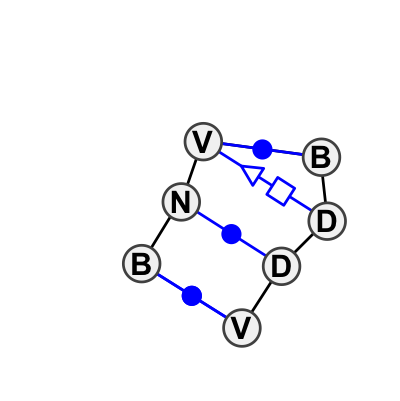 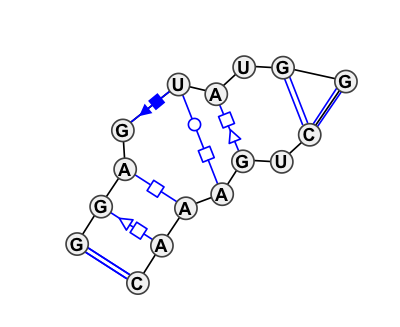 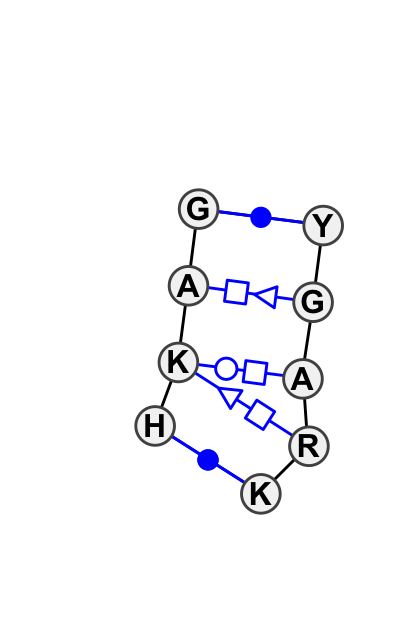 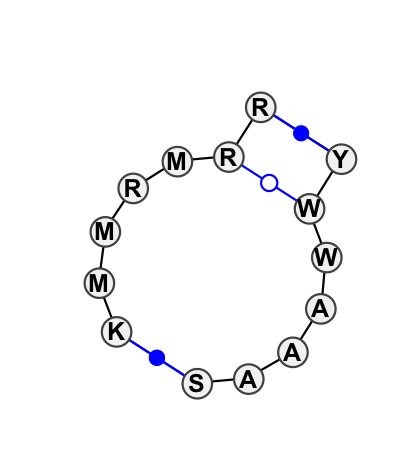 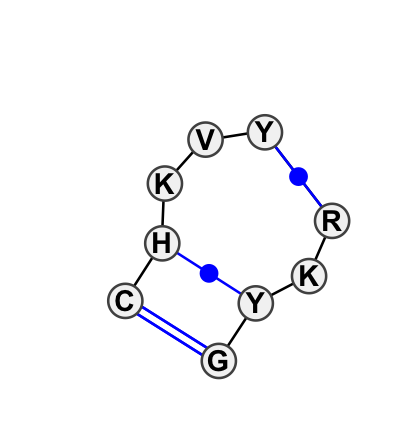 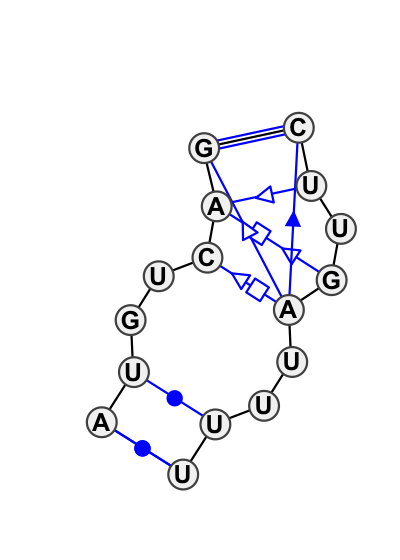 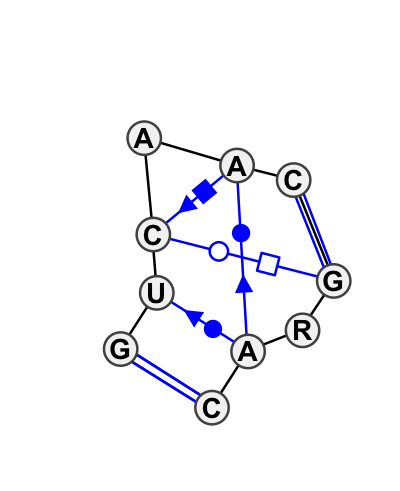 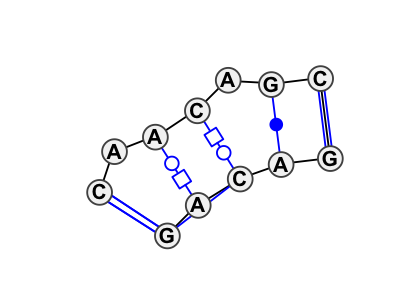 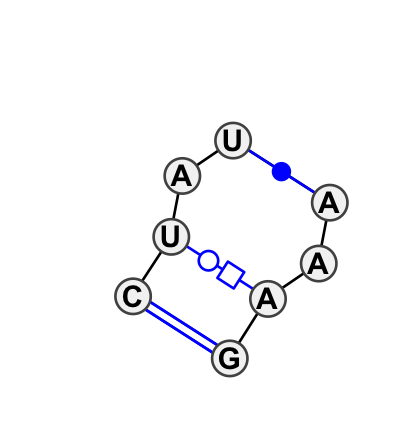 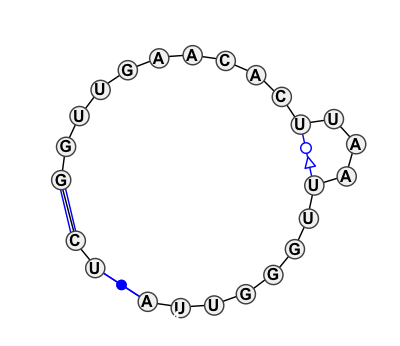 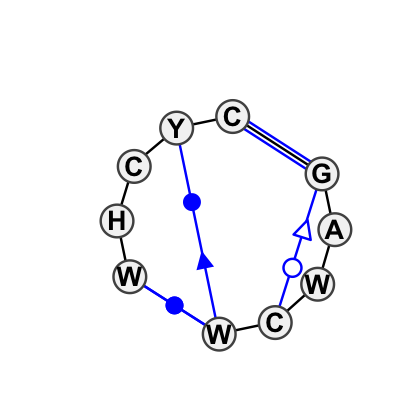 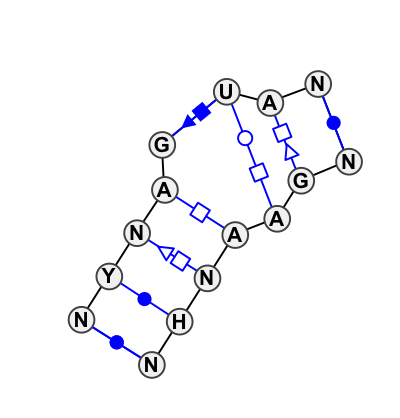 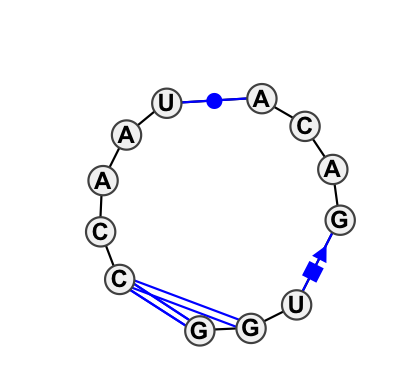 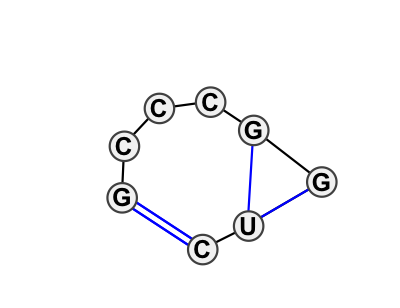 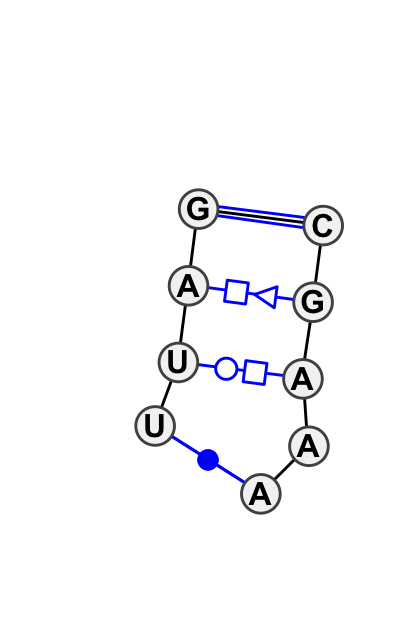 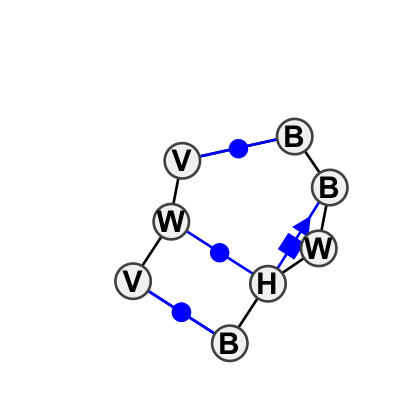 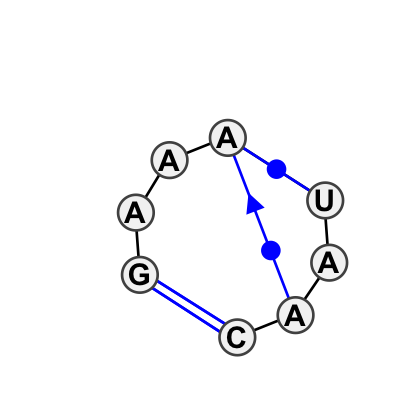 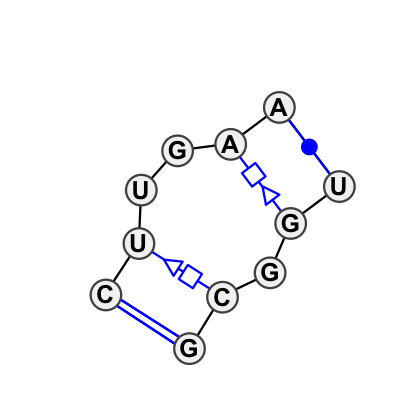 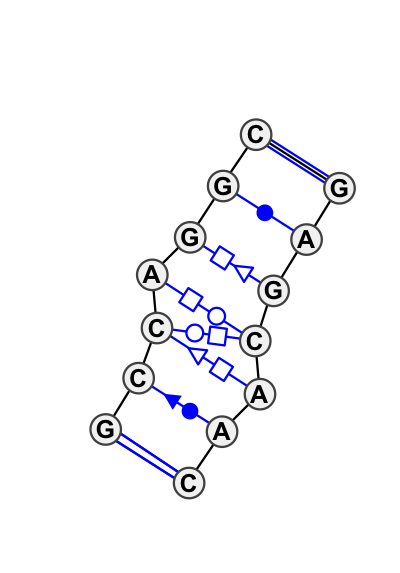 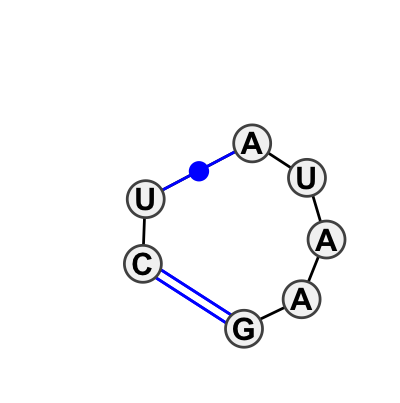 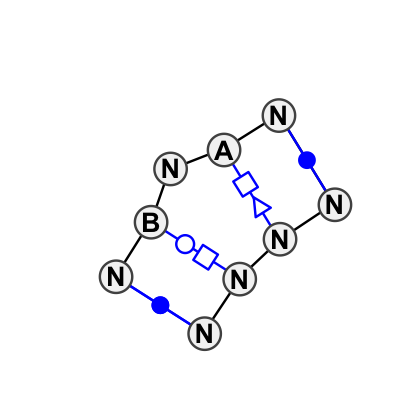 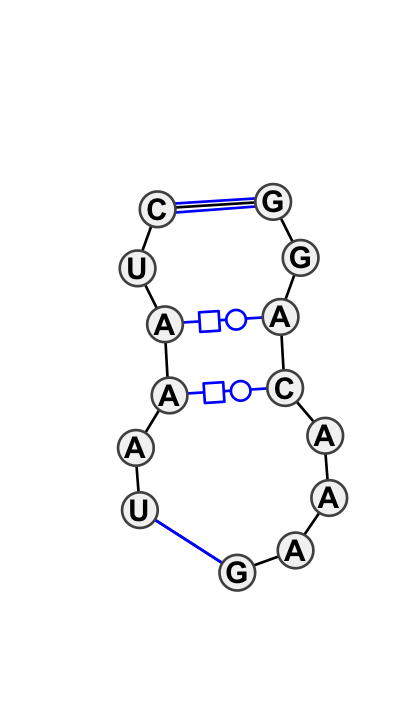 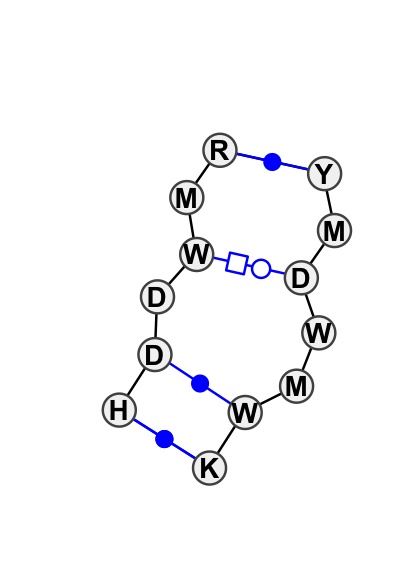 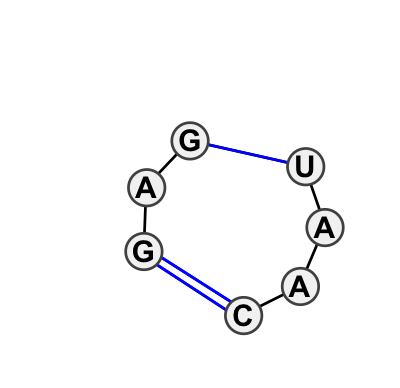 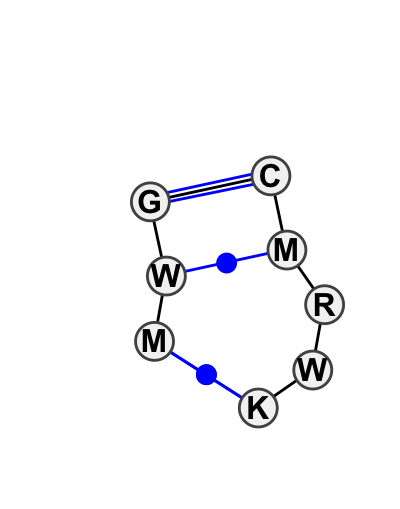 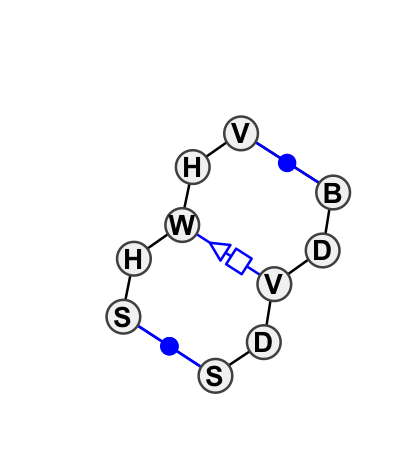 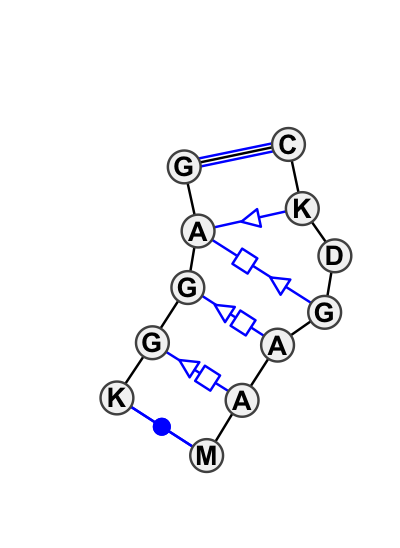 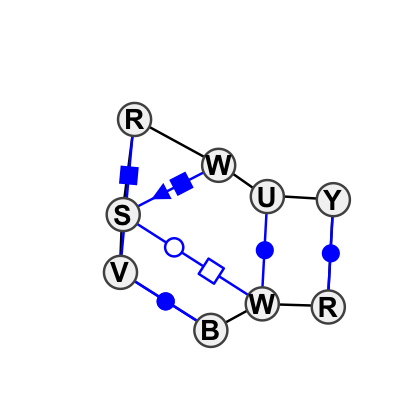 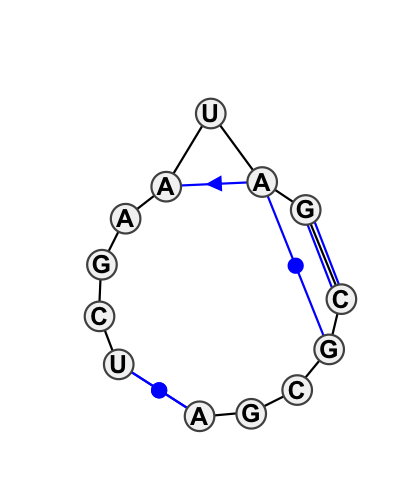 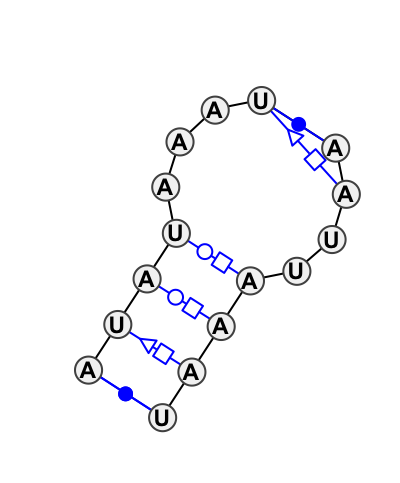 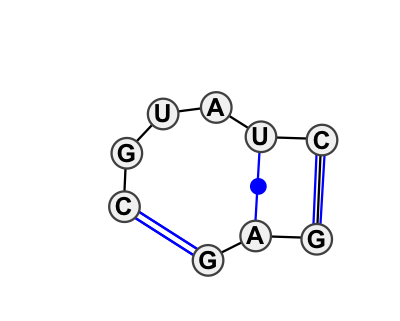 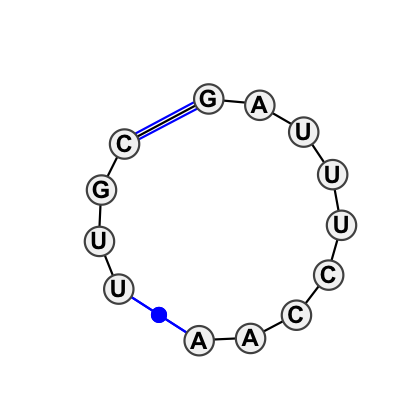 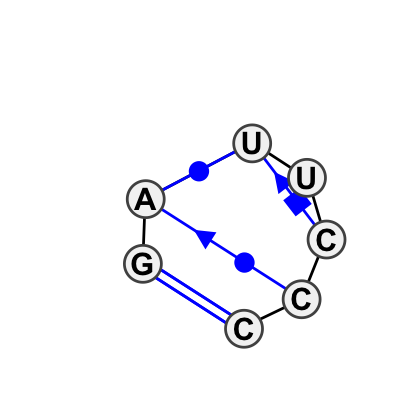 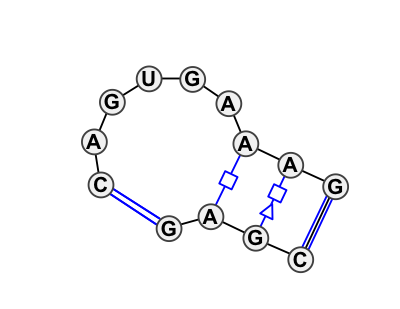 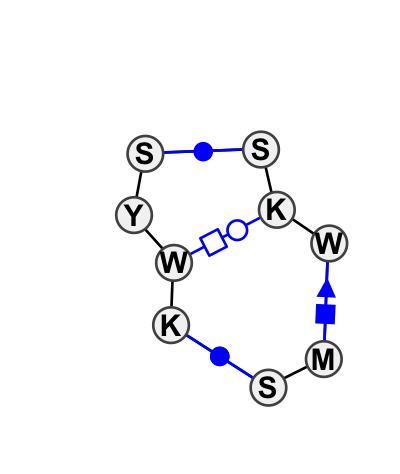 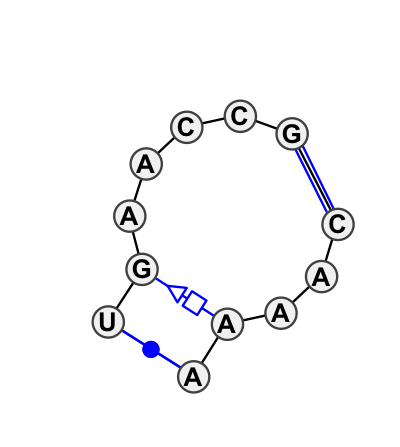 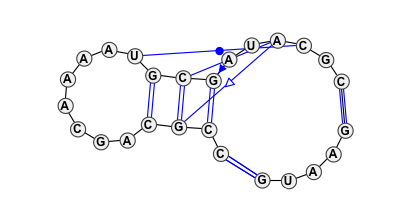 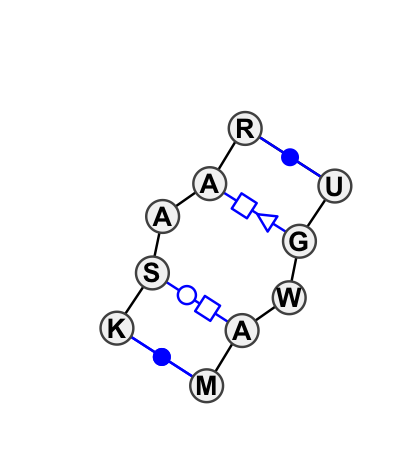 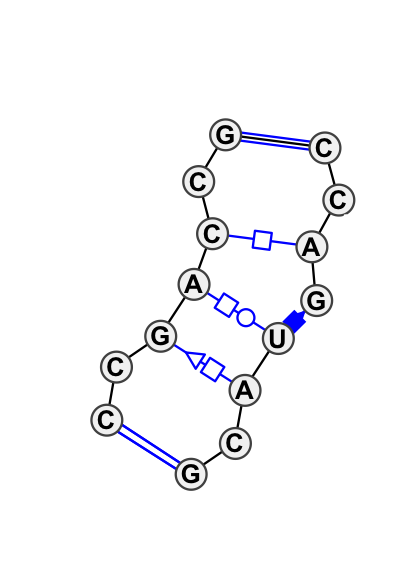 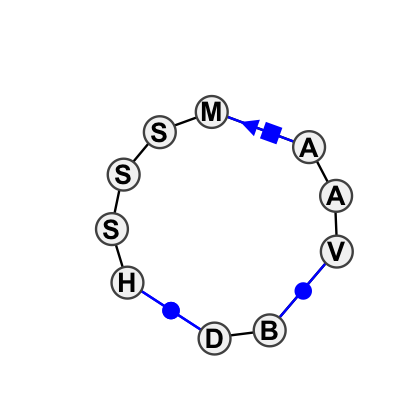 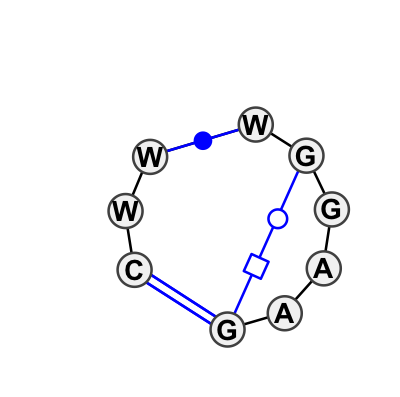 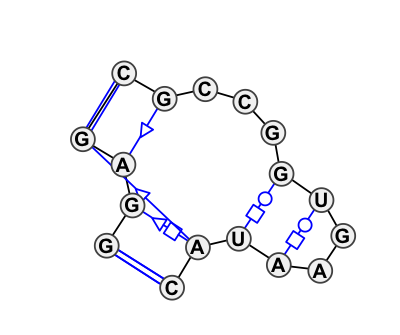 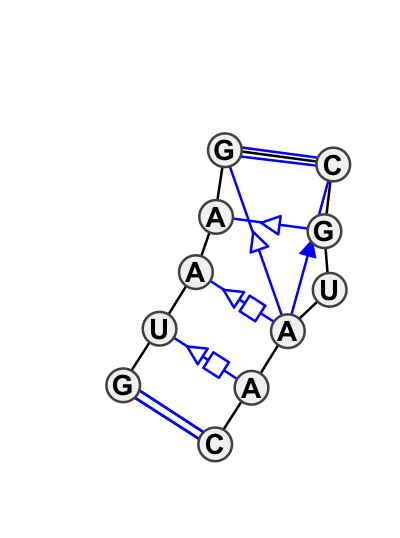 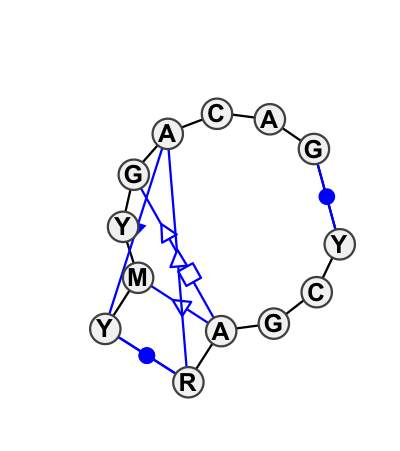 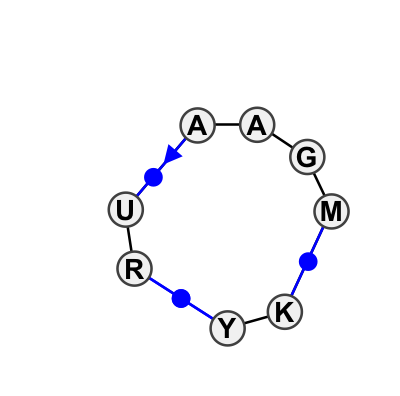 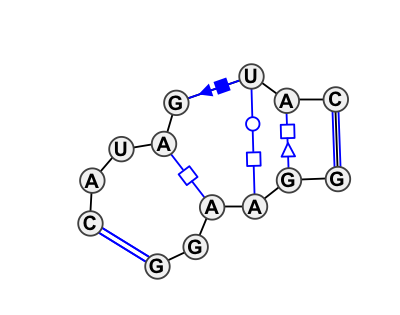 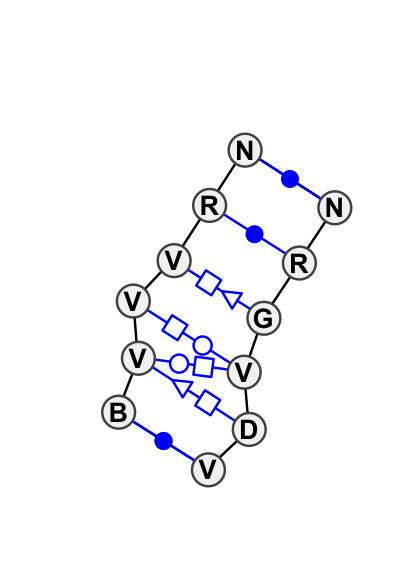 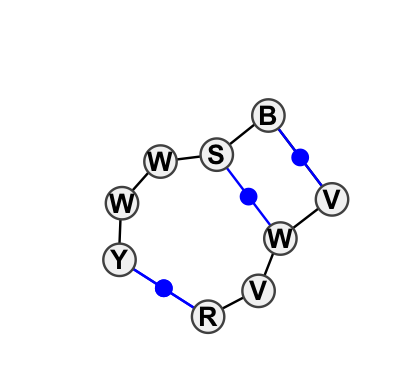 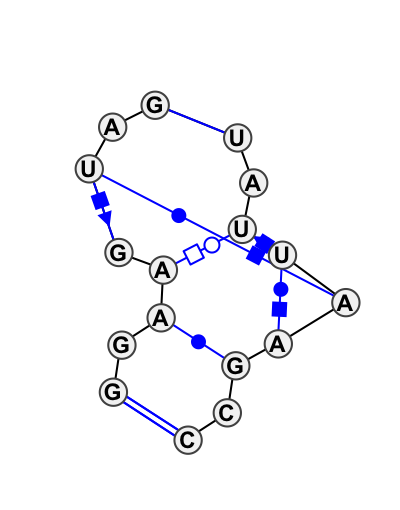 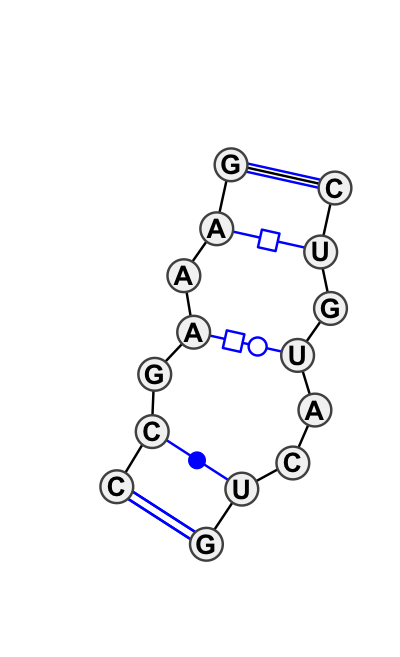 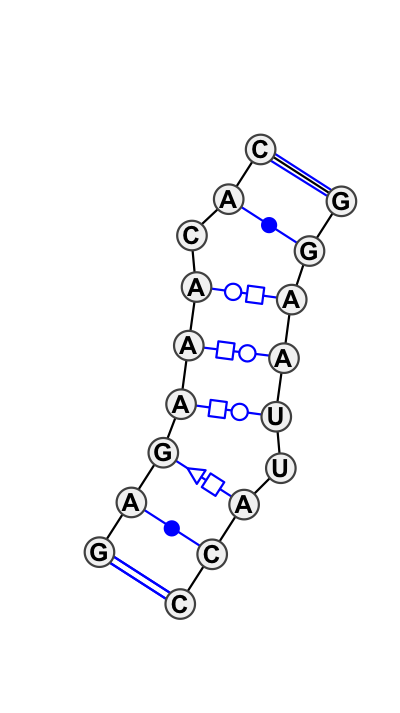 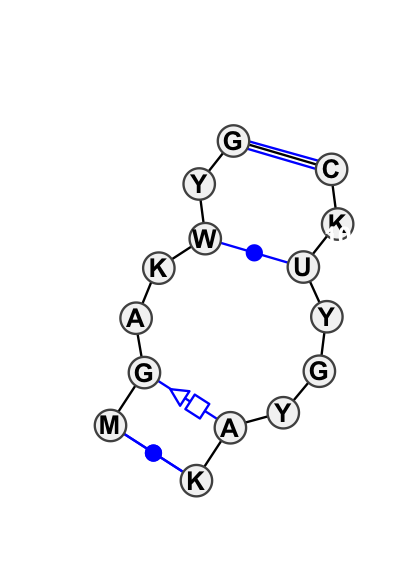 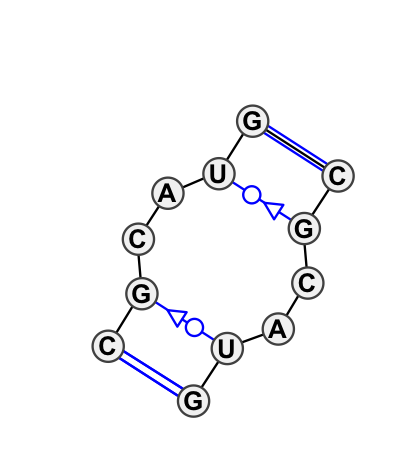 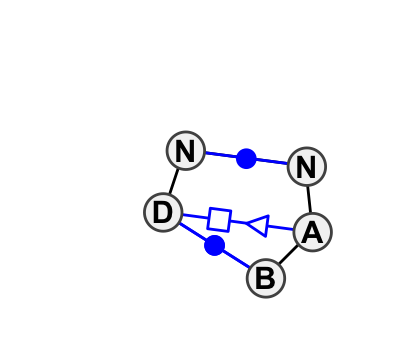 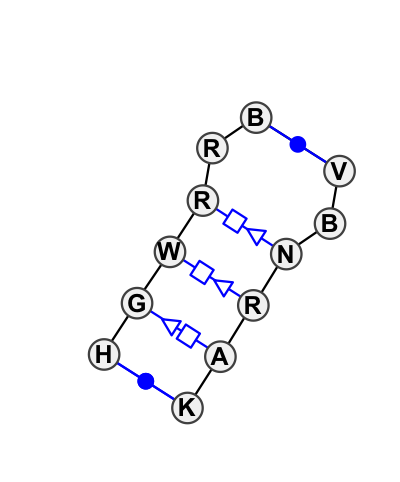 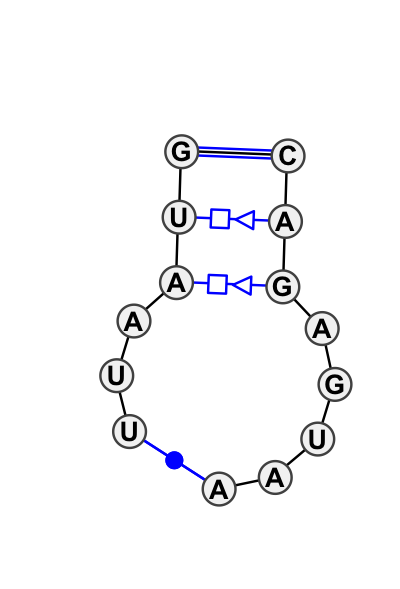 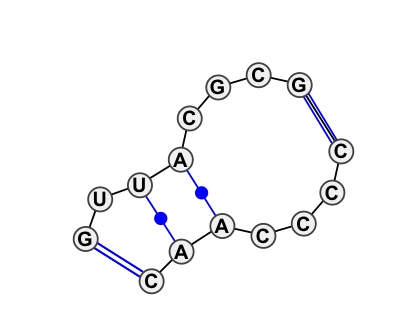 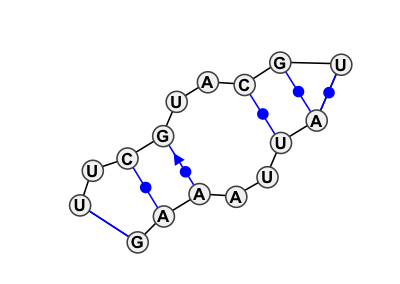 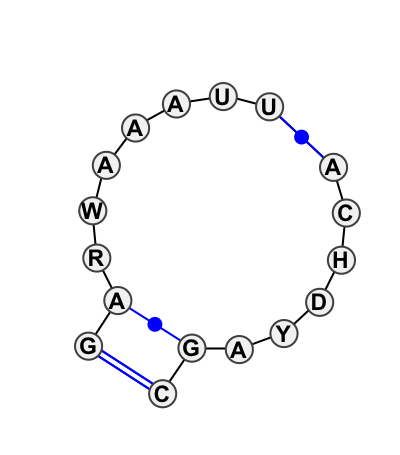 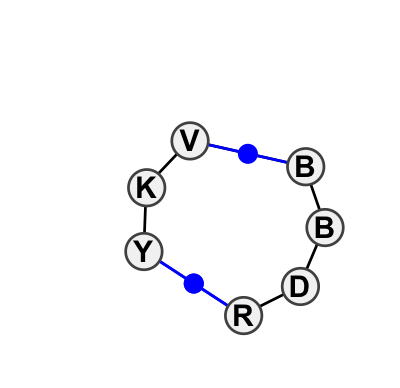 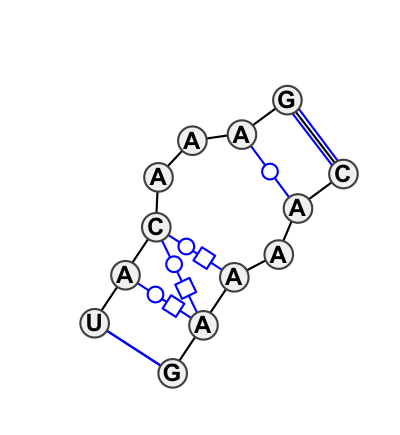 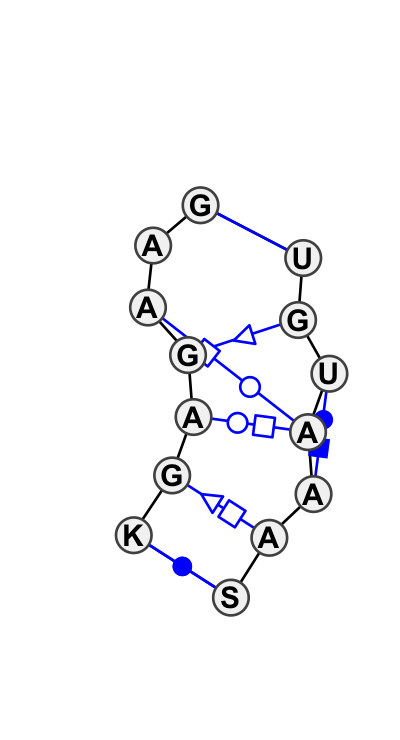 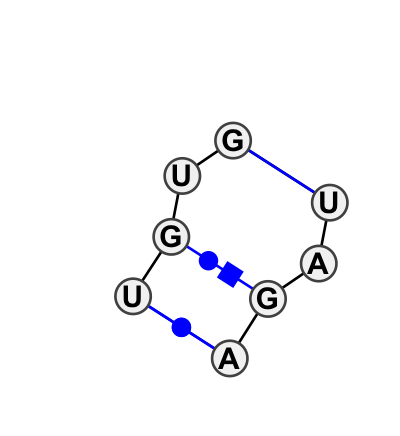 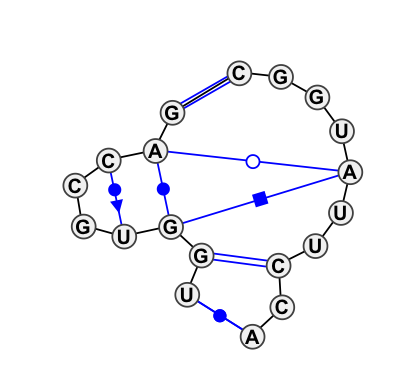 Name: cWH basepair | Stacked bases not quite making a basepair. 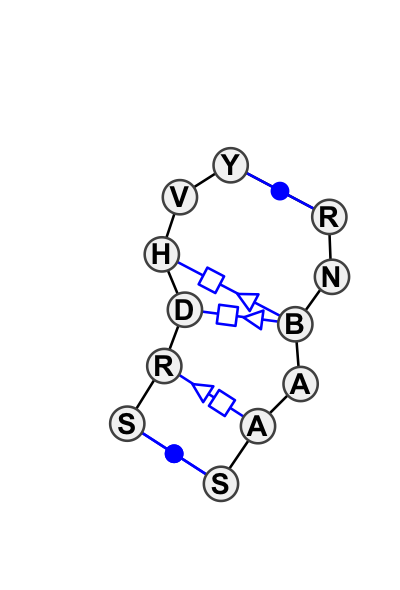 Name: SSU Helix 8 (h8) IL E.c. 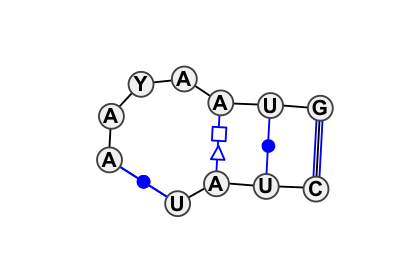 and Yeast | LSU H68 IL from H.m.
Name: Base triple, intercalated pair, and bulged bases making long-range interactions.